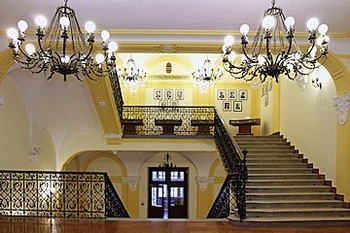 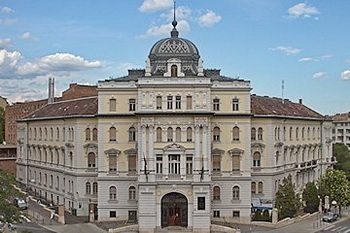 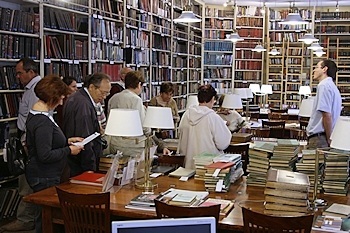 a Division of the Department of Economic and Social Affairs. 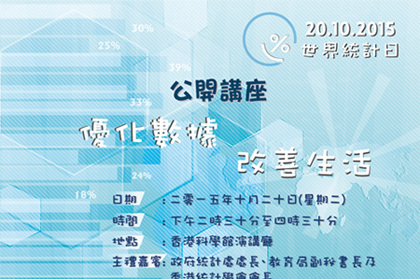 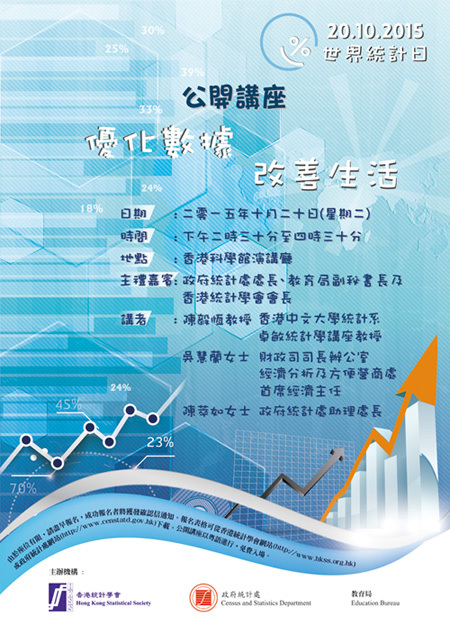 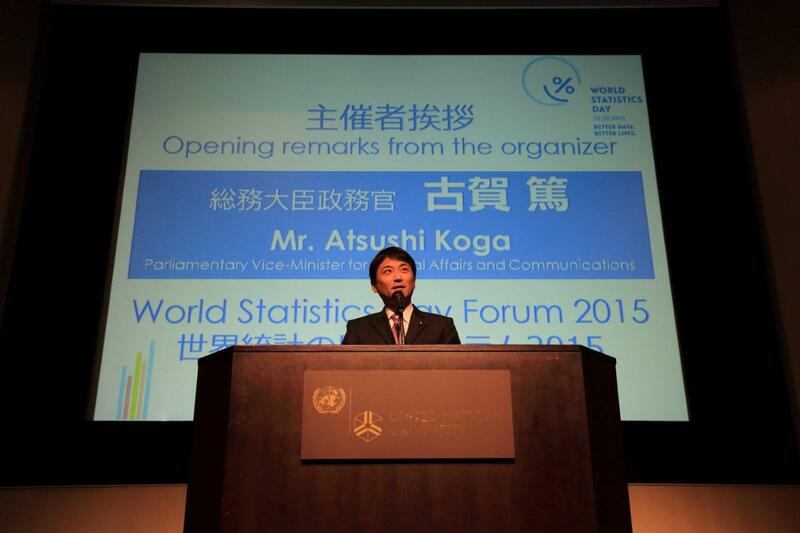 World Statistics Day was celebrated in Xi'an/China with an impressive ceremony in the presence of Mr. Wu Hongbo, Under-Secretary-General for Economic and Social Affairs, UN Department of Economic and Social Affairs. 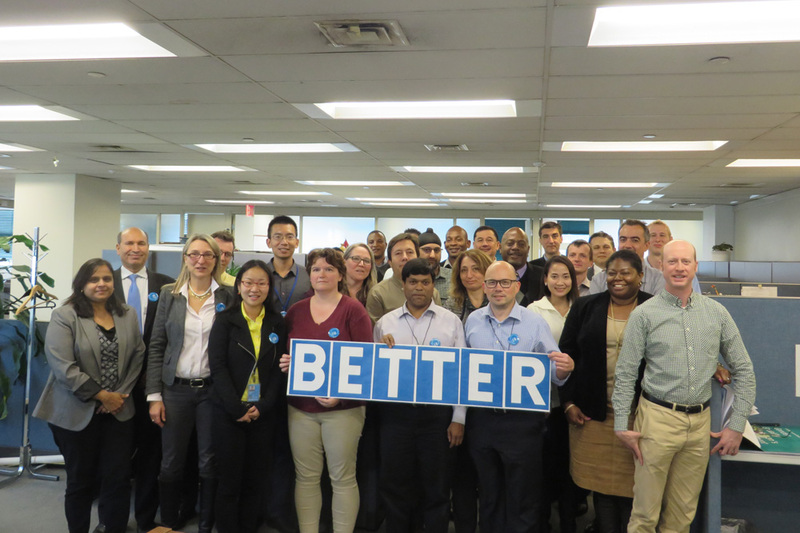 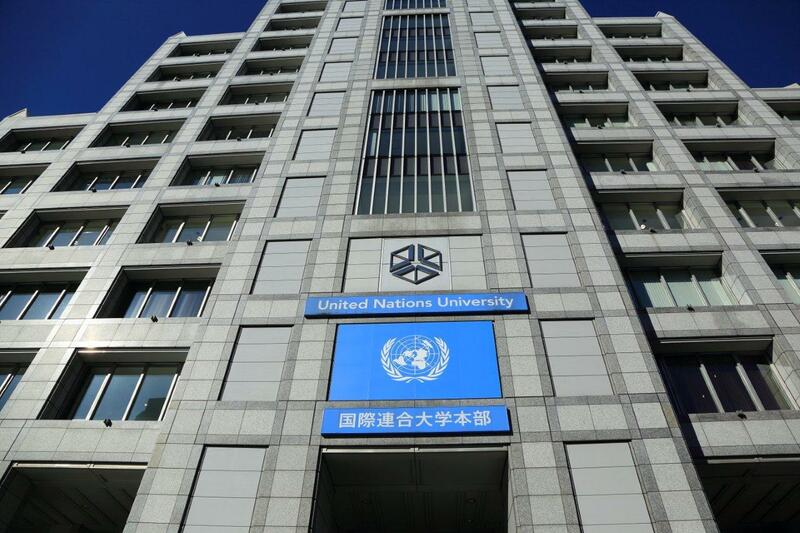 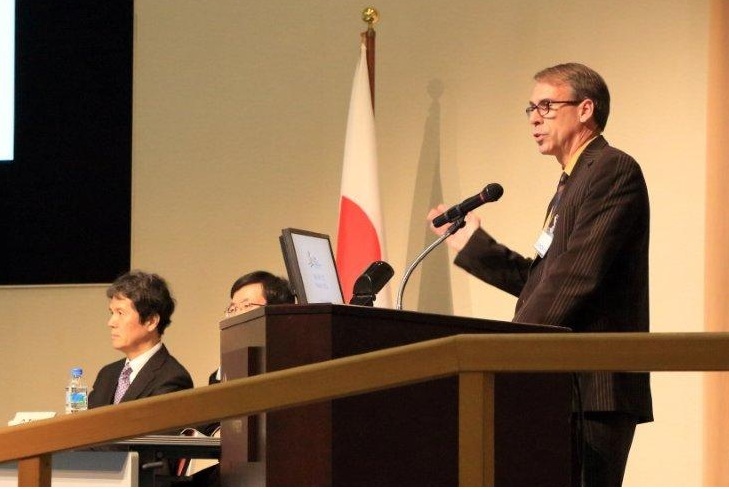 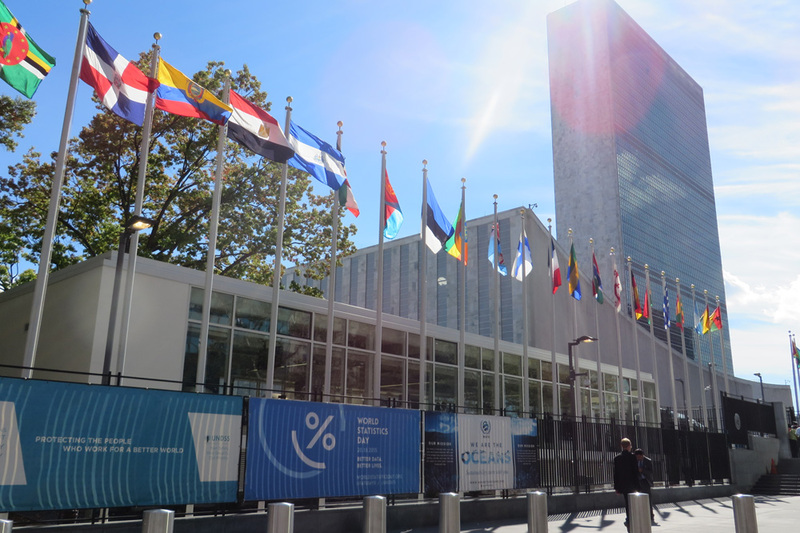 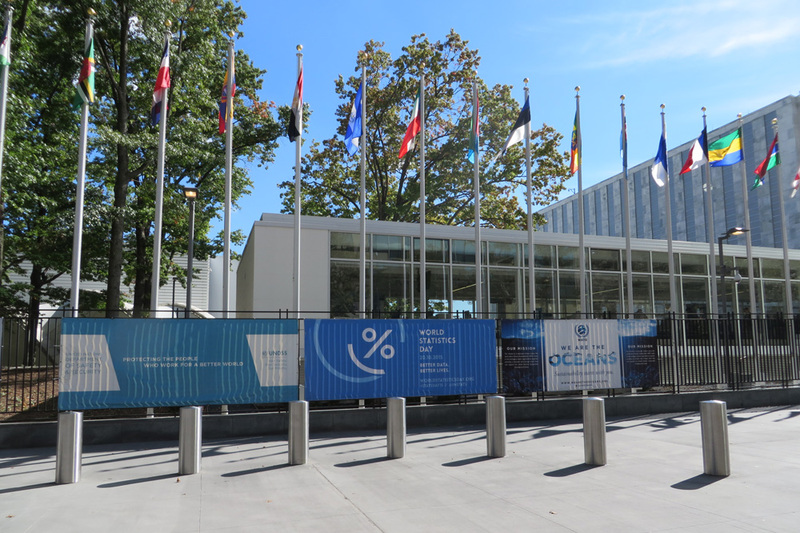 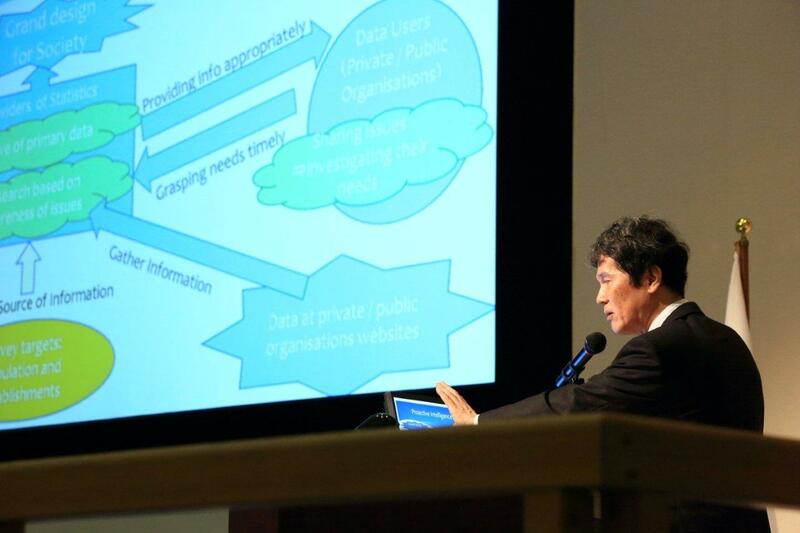 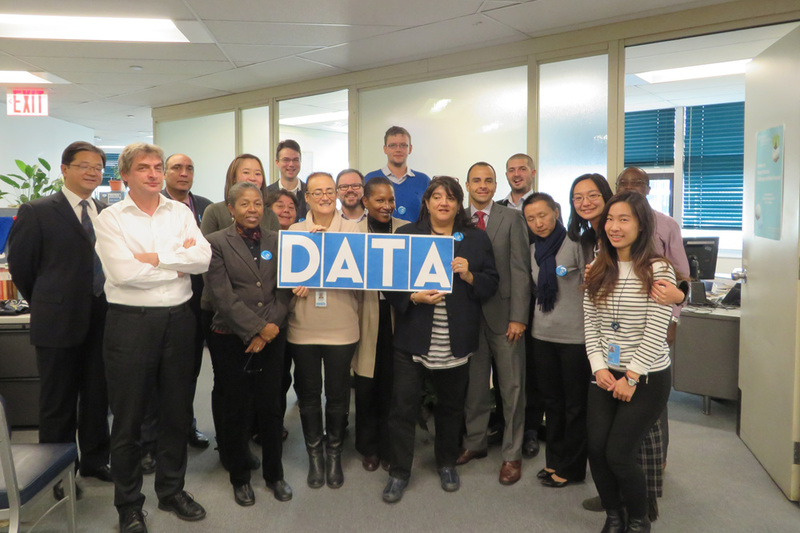 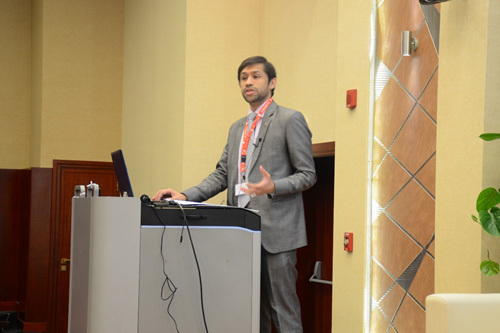 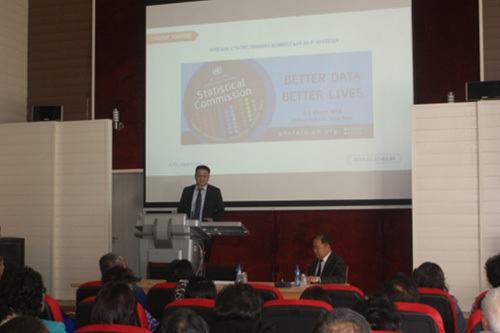 This event provided a timely and excellent opportunity for the global statistical community to gather and exchange experiences and discuss critical issues on how to develop an effective monitoring framework to support the implementation of the 2030 Agenda for Sustainable Development. 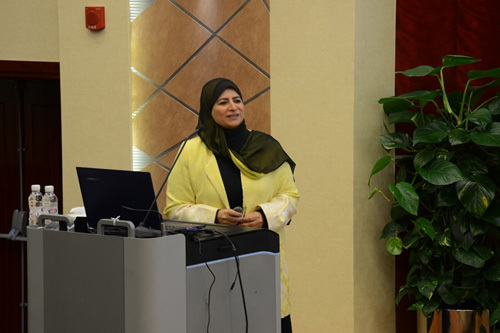 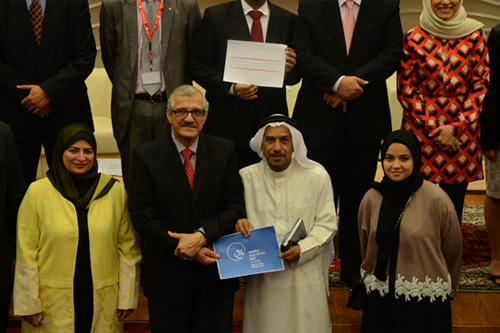 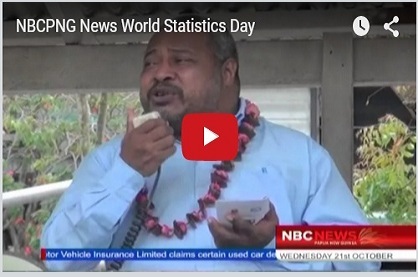 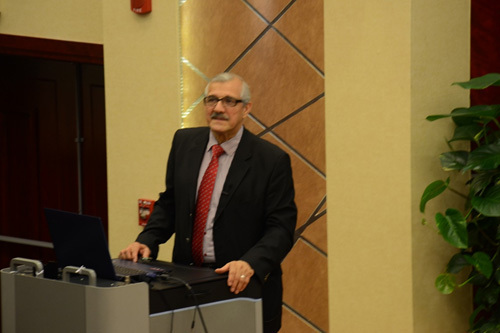 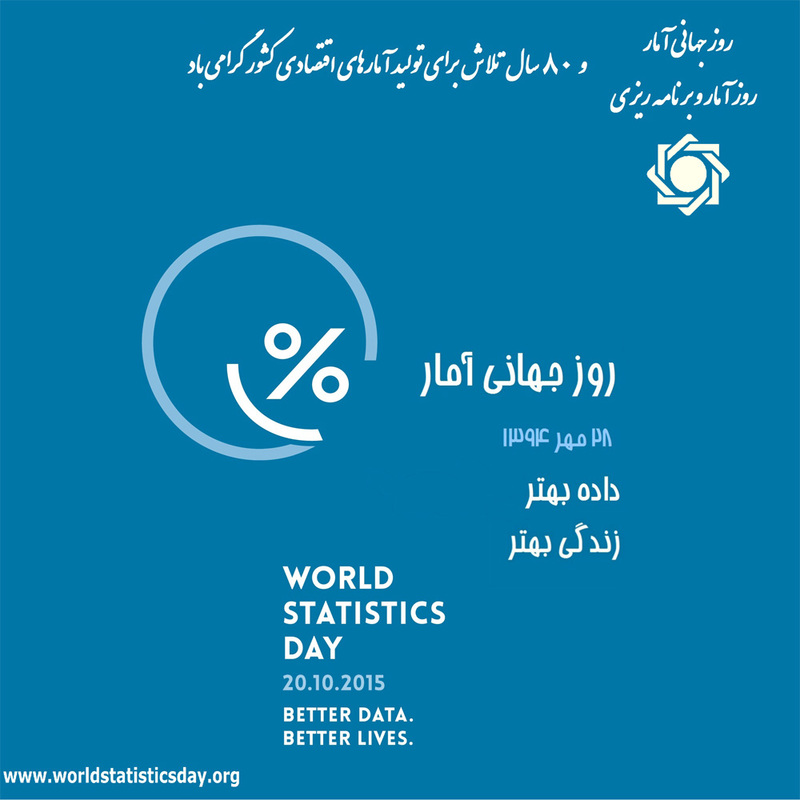 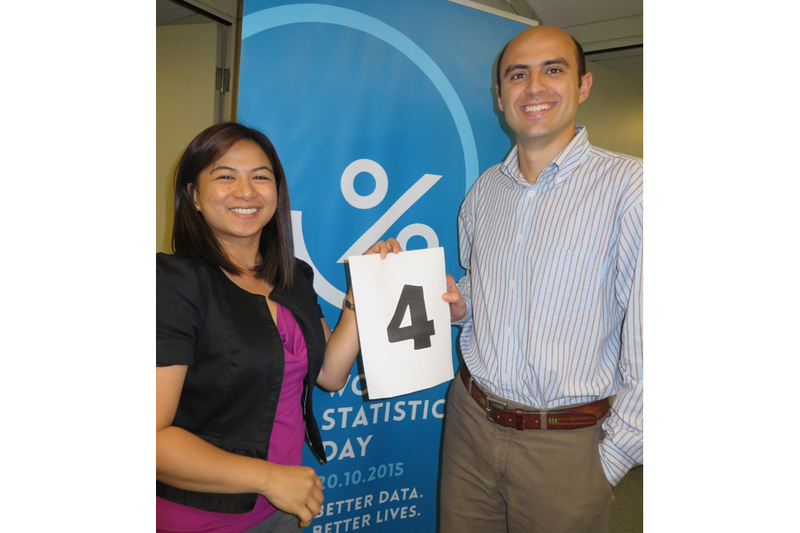 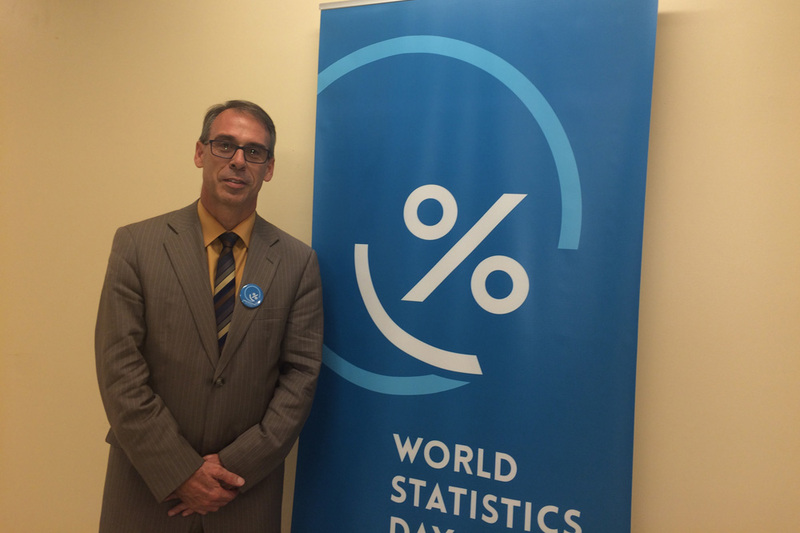 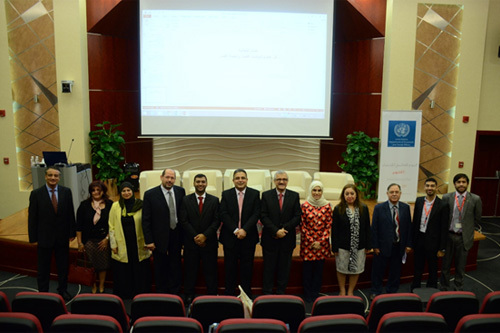 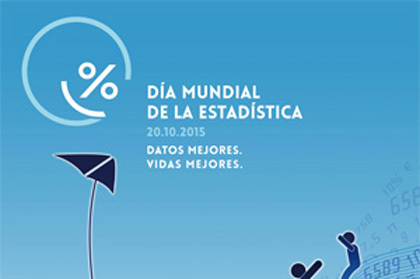 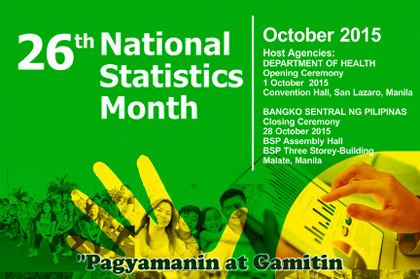 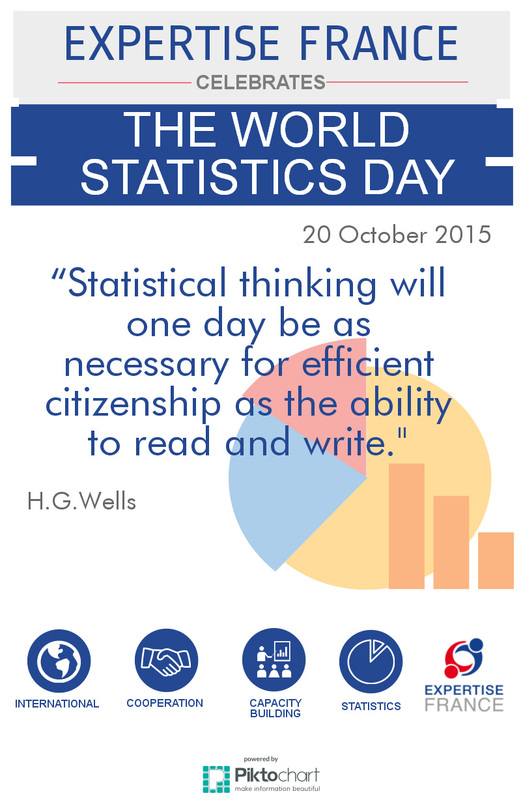 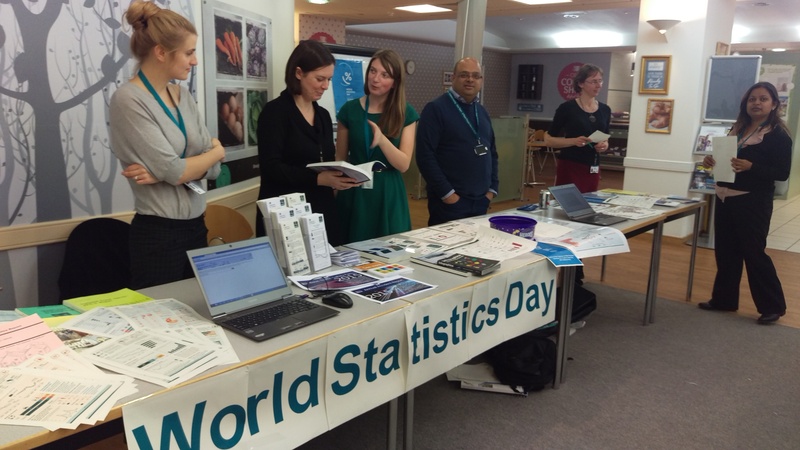 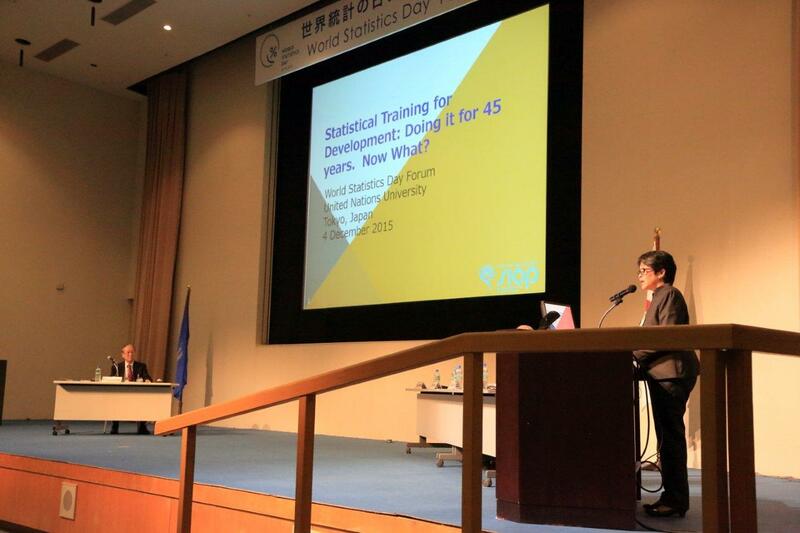 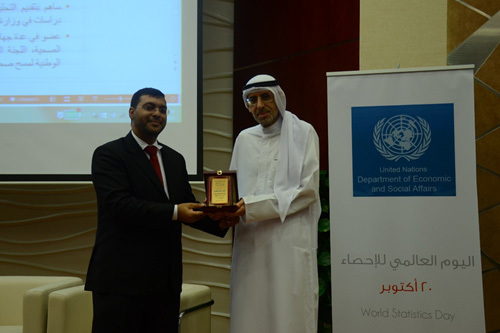 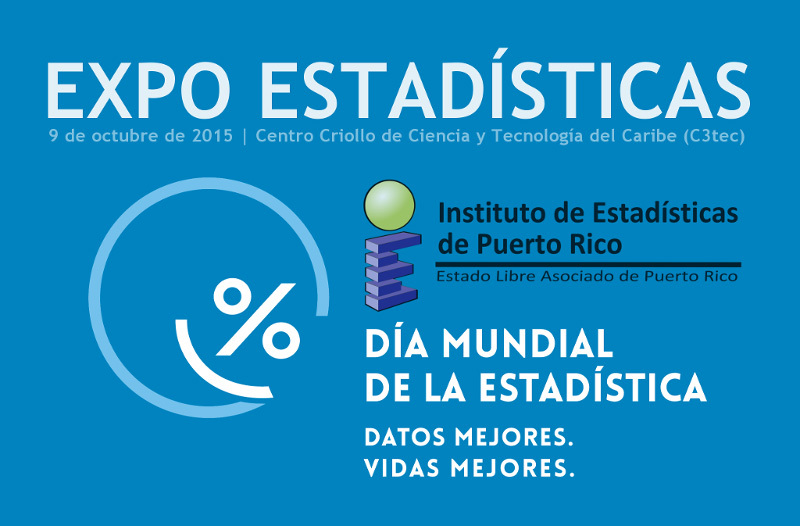 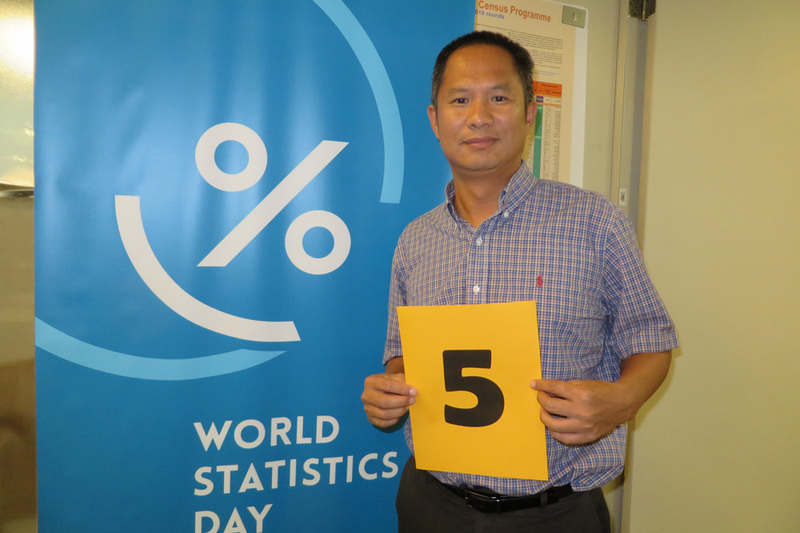 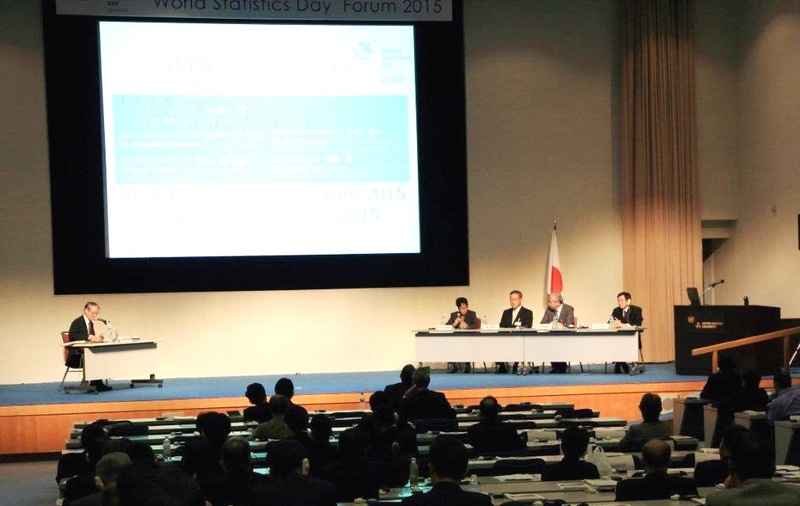 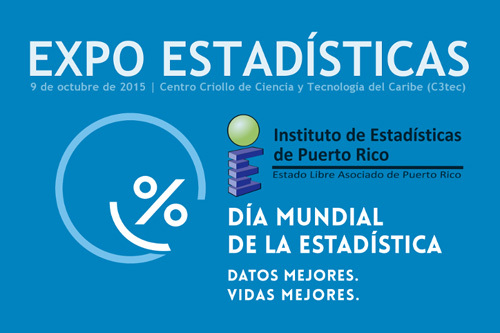 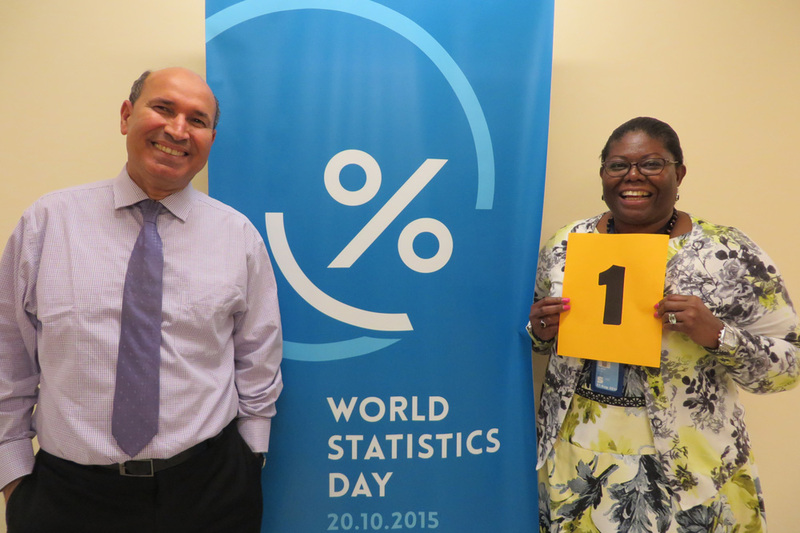 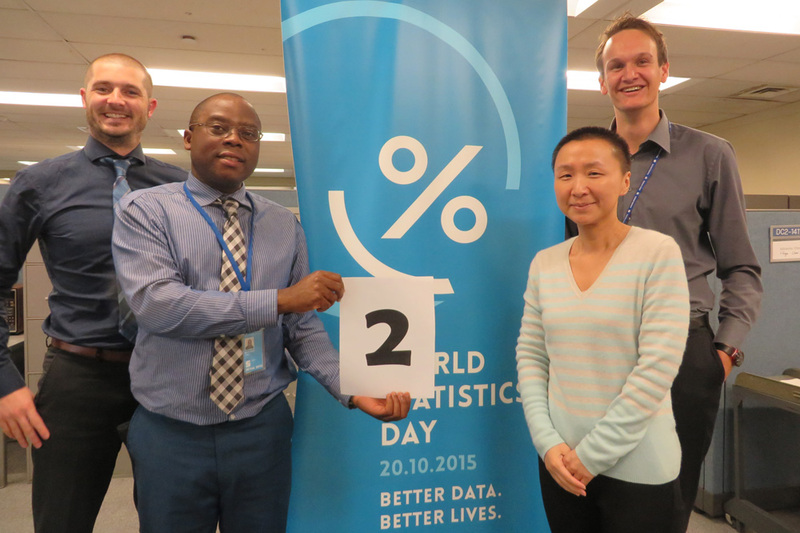 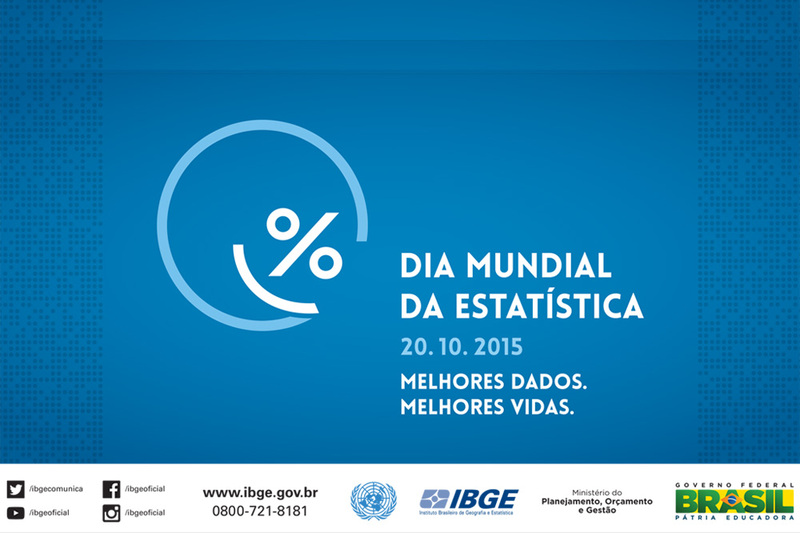 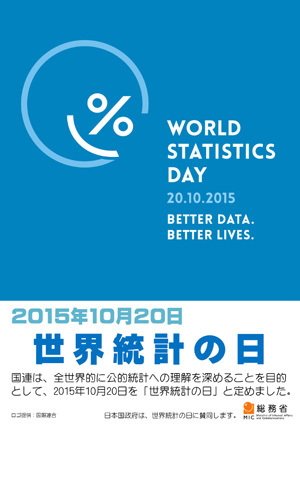 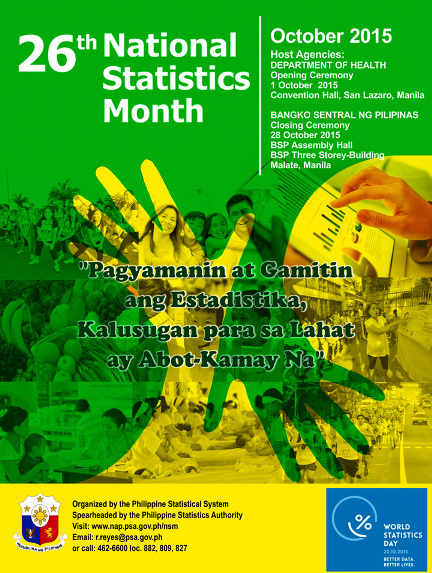 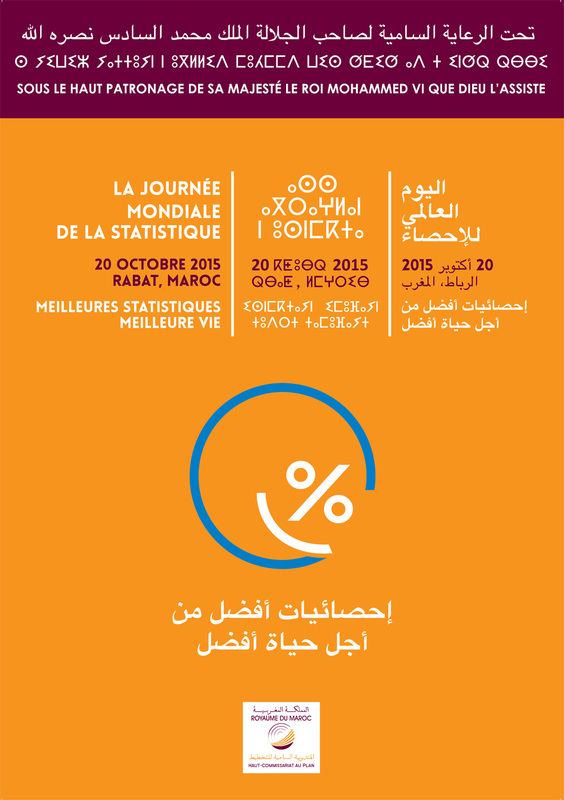 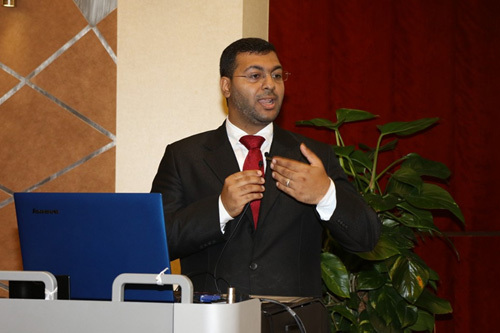 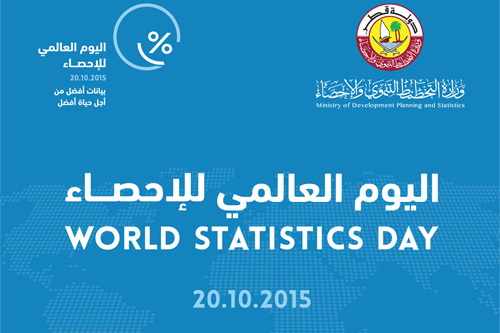 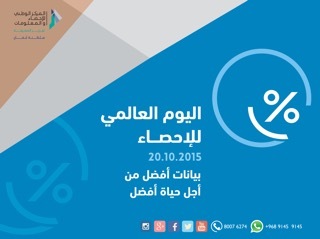 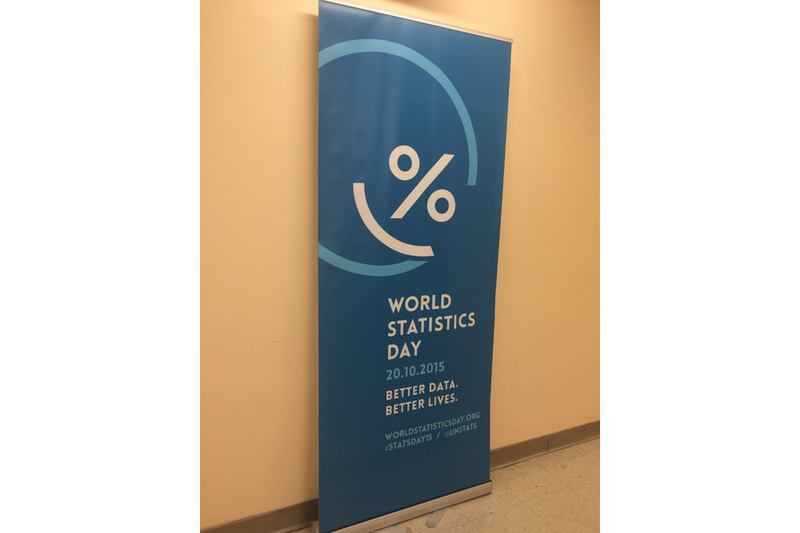 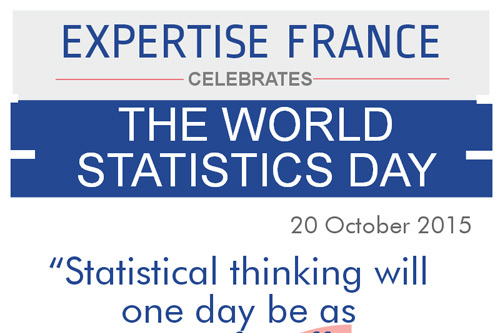 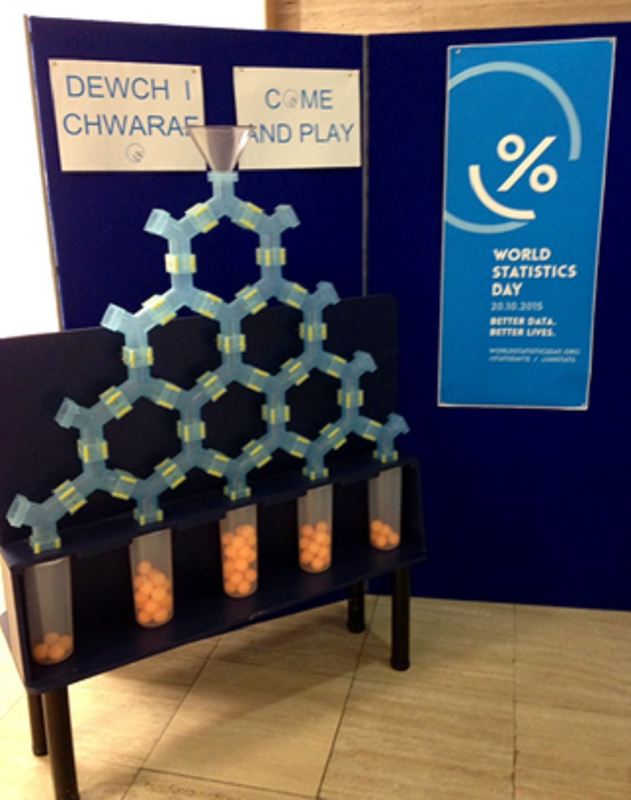 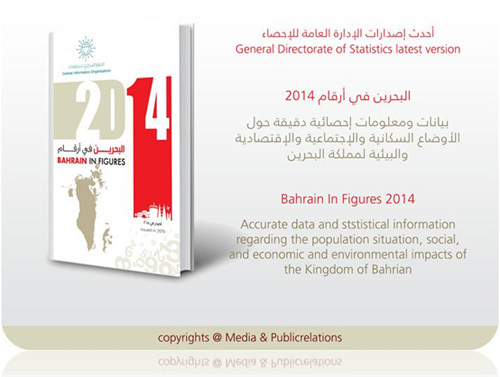 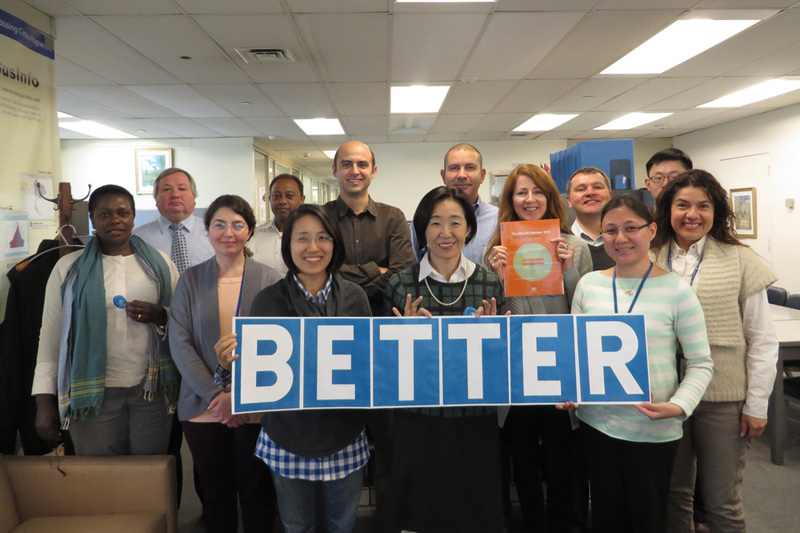 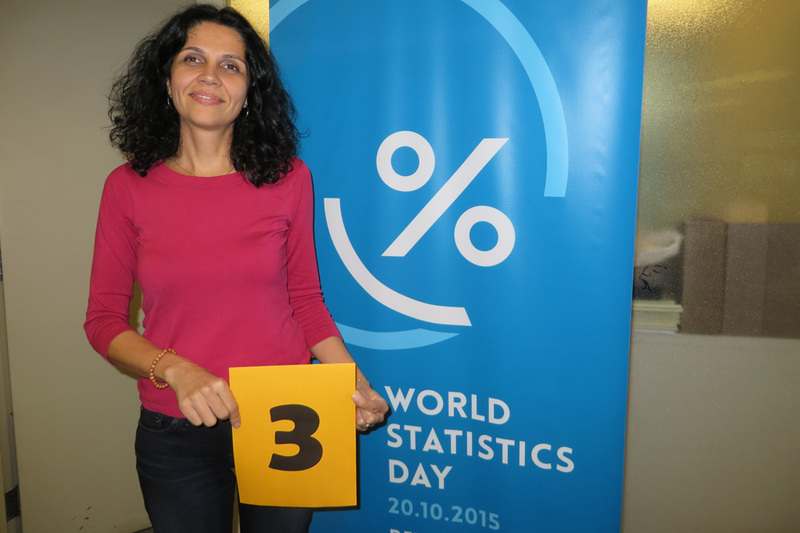 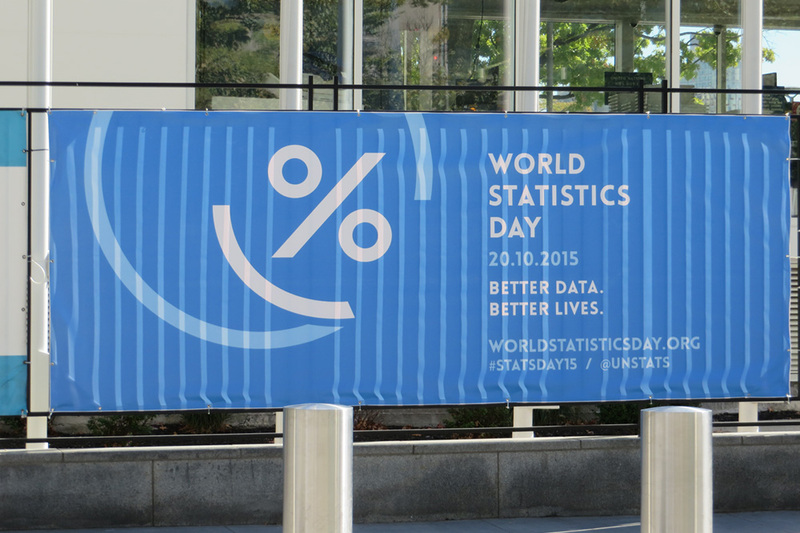 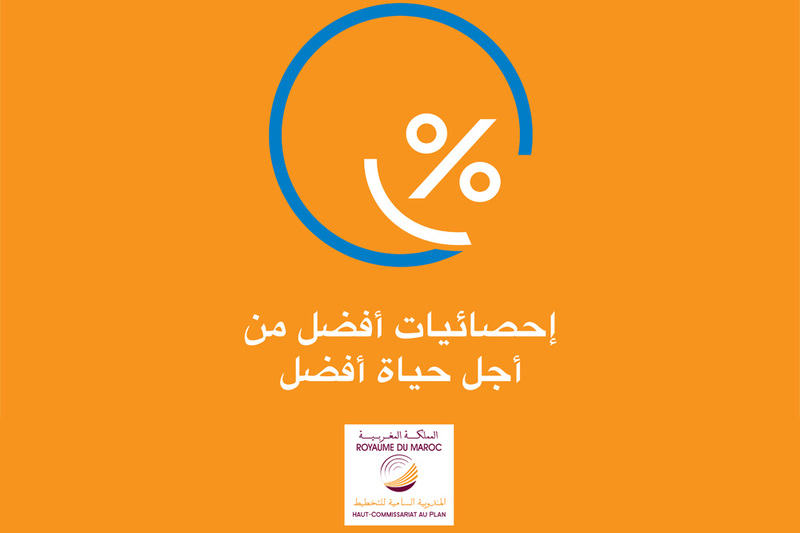 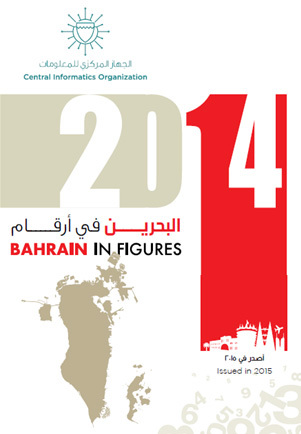 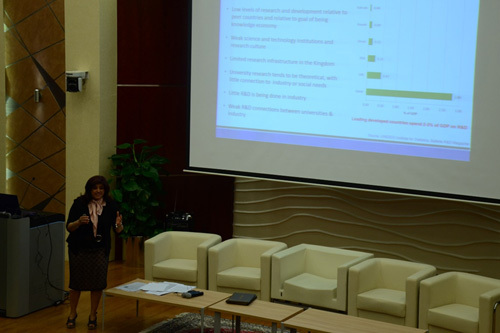 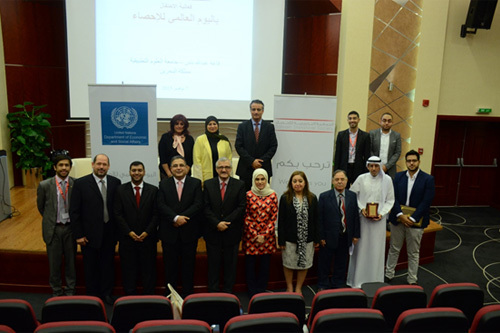 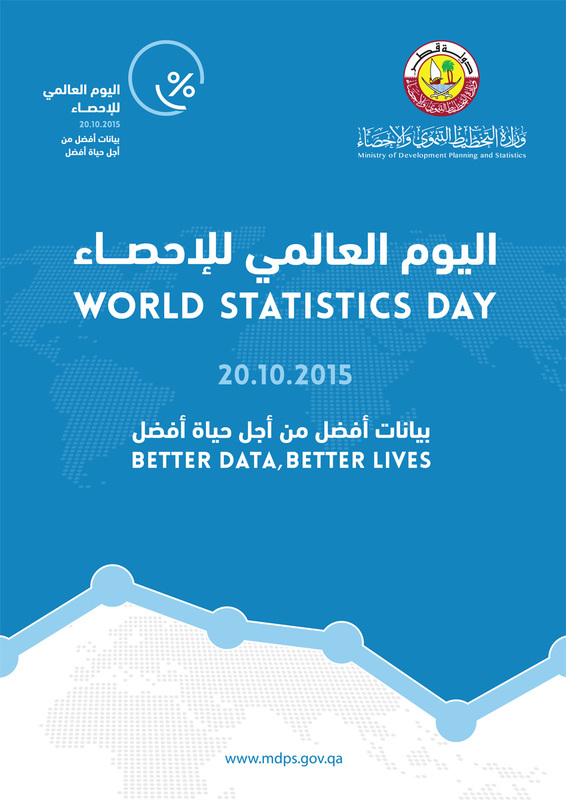 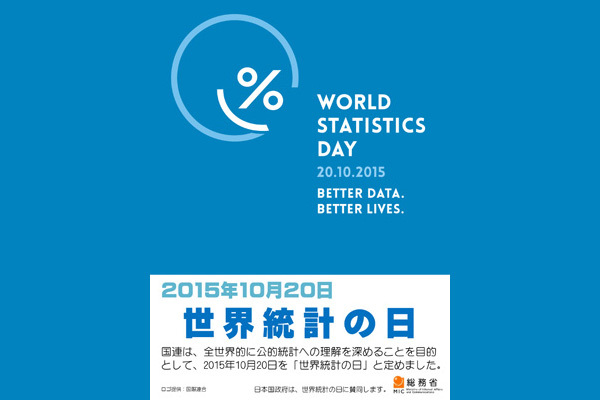 Sultanate of Oman represented by the National Center of Statistics and Information is participating in World Statistics Day 20 October 2015 . 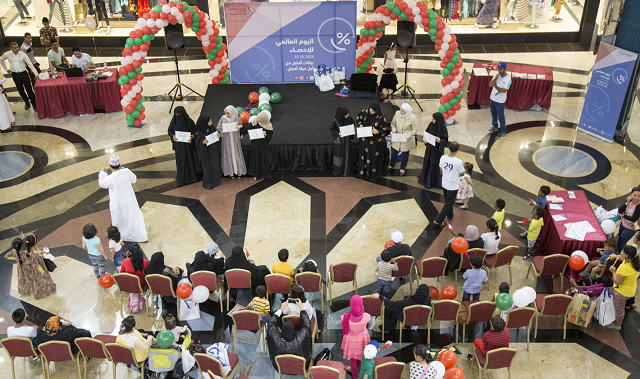 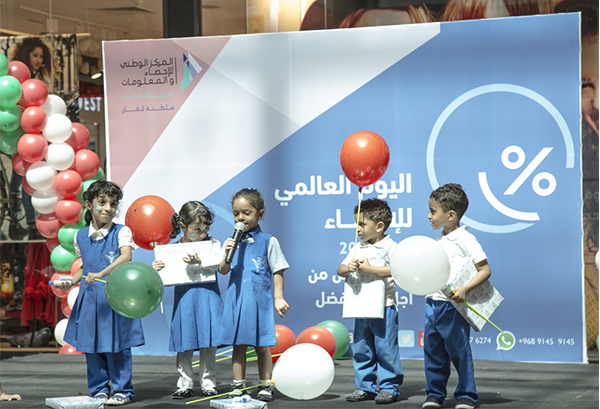 The celebration will spread to categories of the society such as student, families and kids and employees through different channels including, universities, colleges, social media and newspapers. 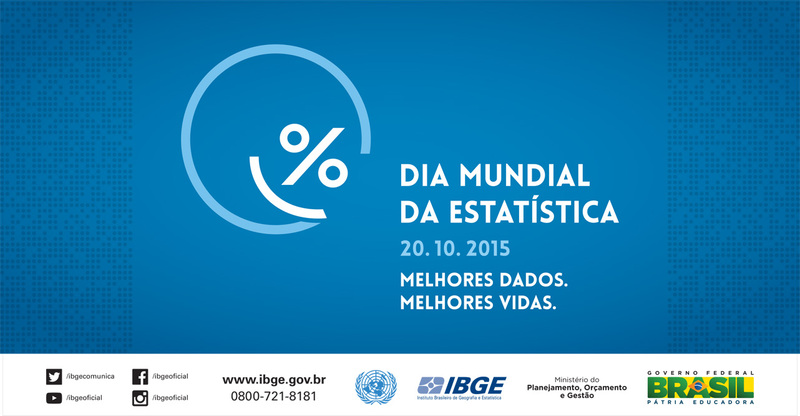 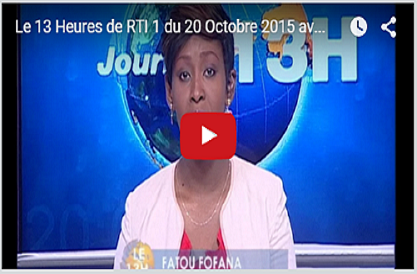 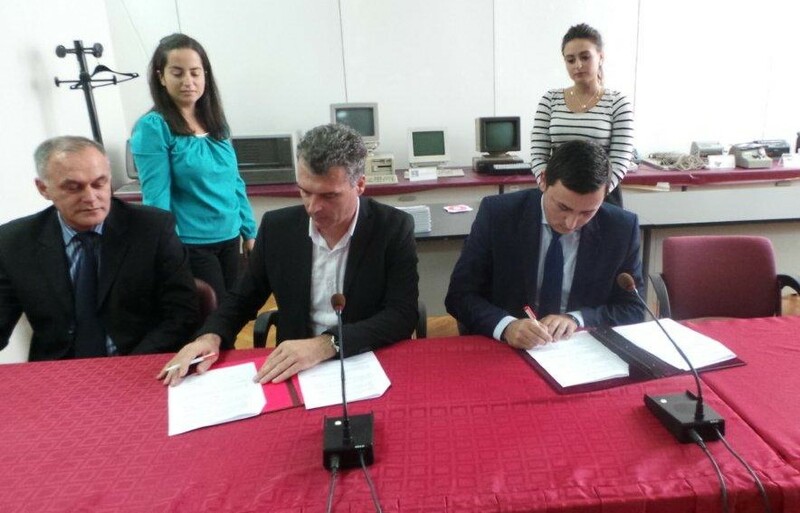 In addition, organizing some interviews in television and radio to identify the importance of this day. 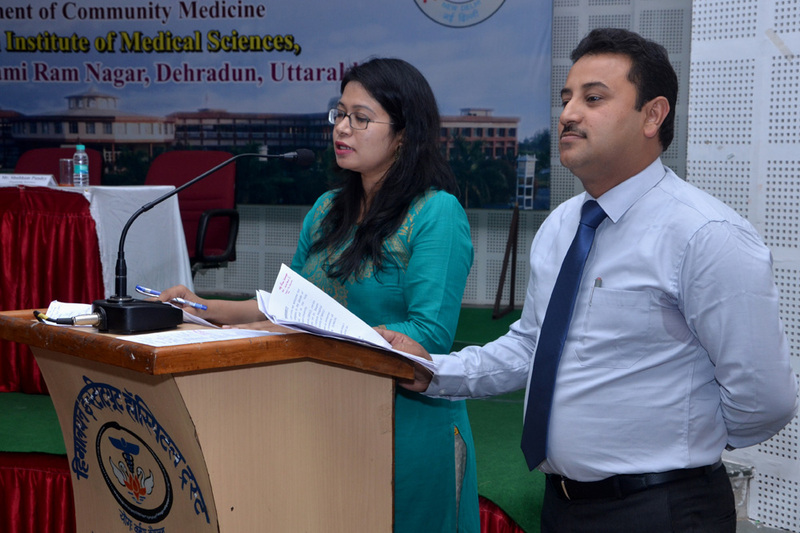 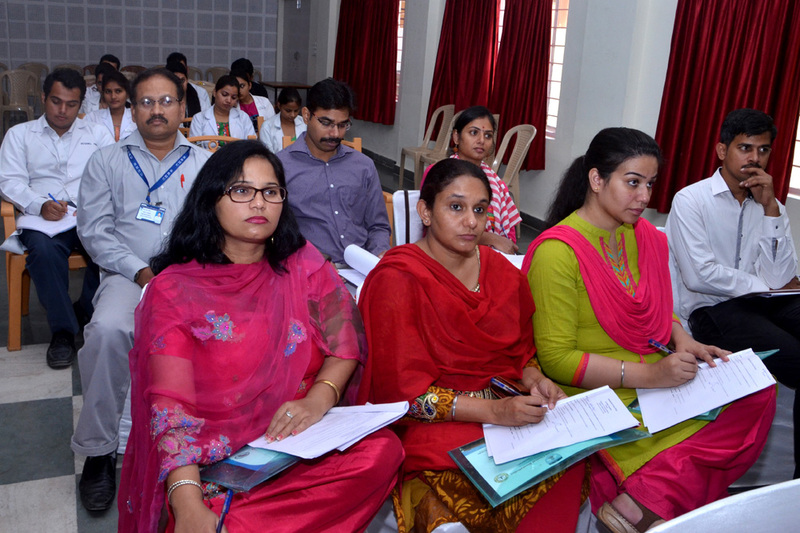 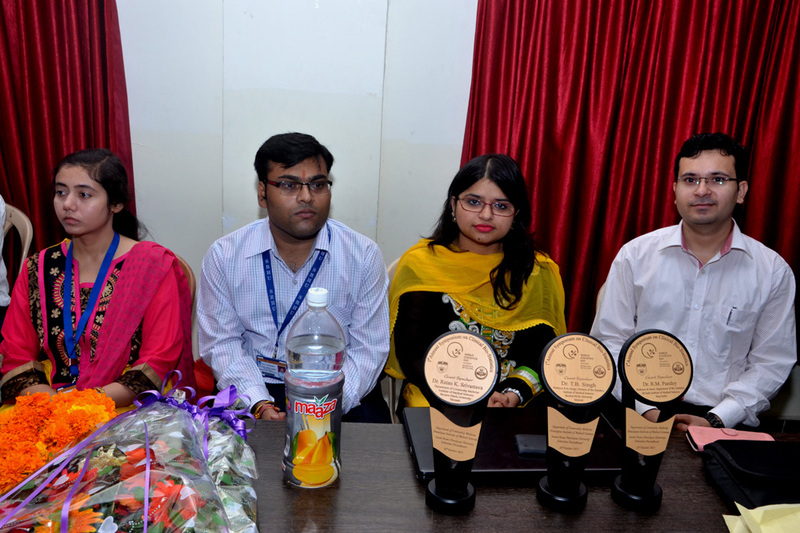 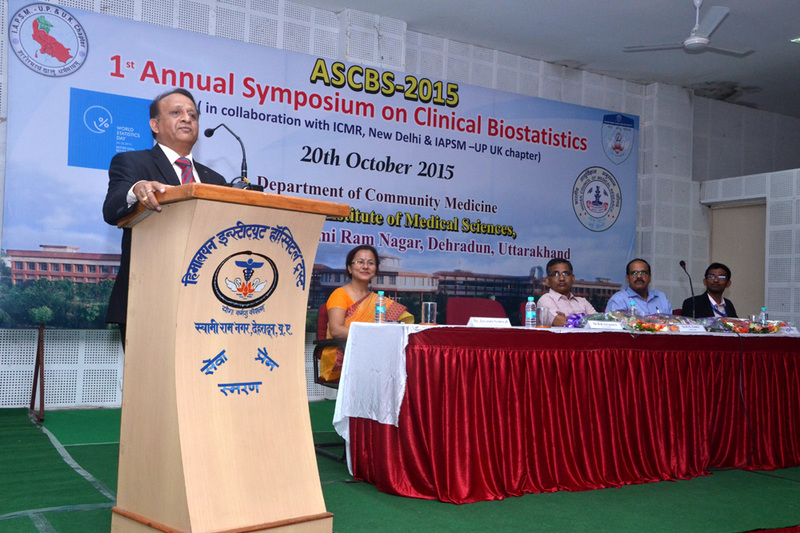 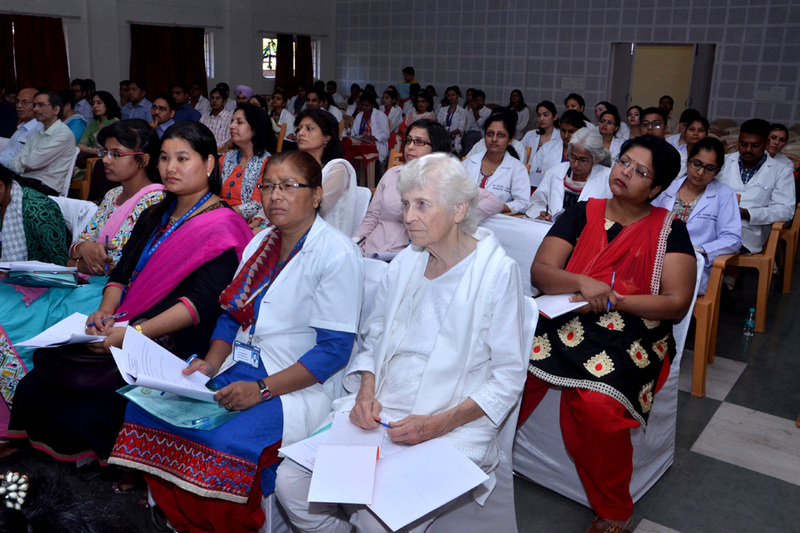 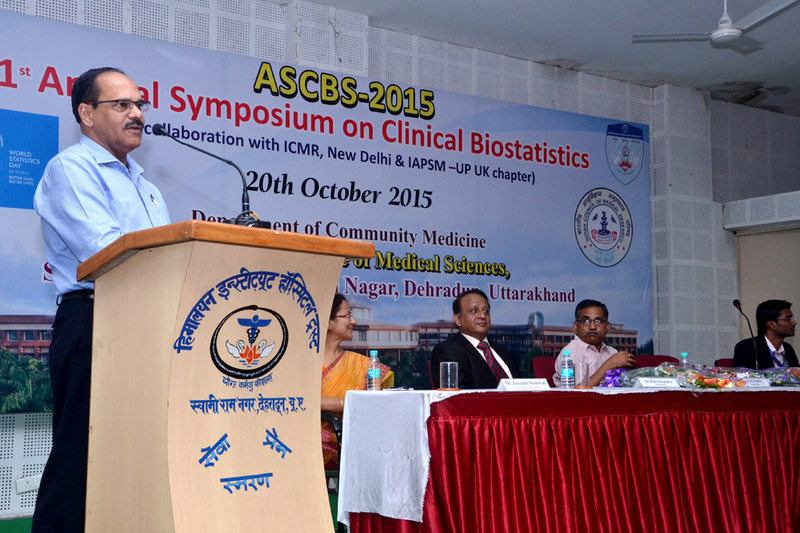 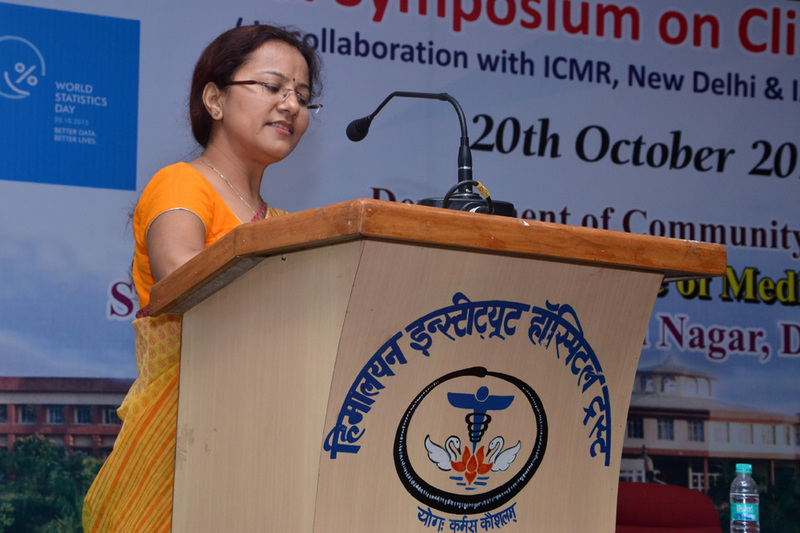 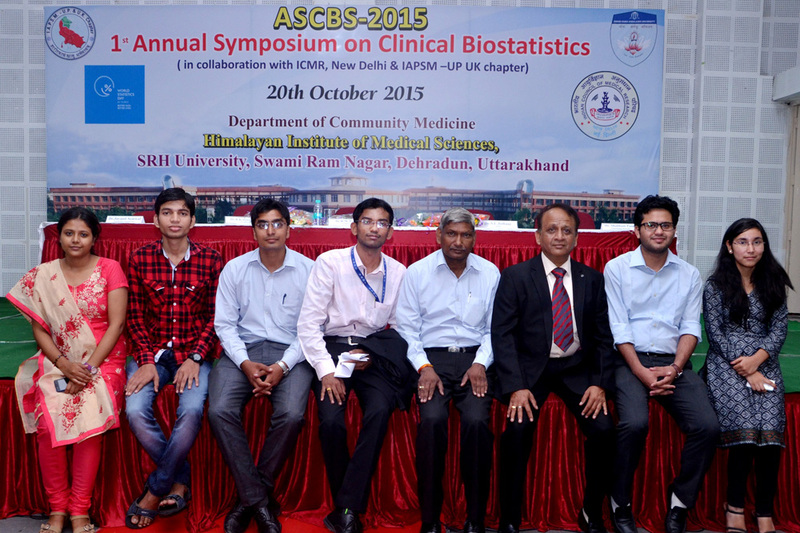 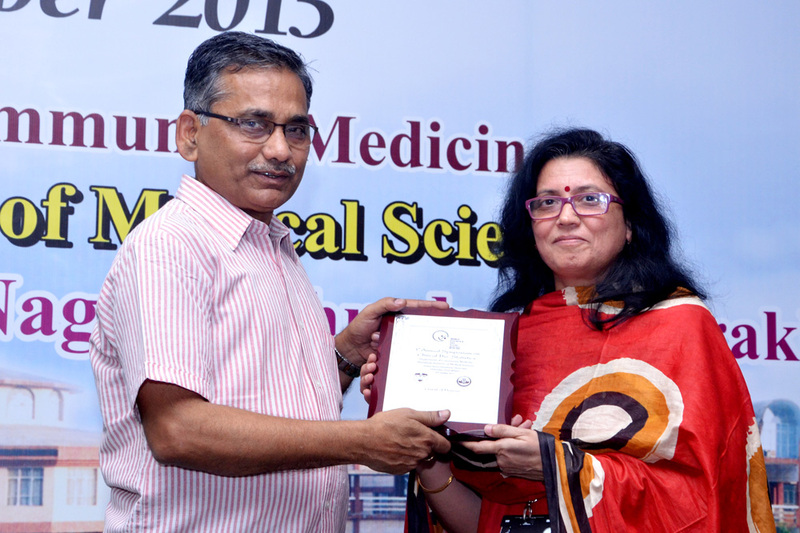 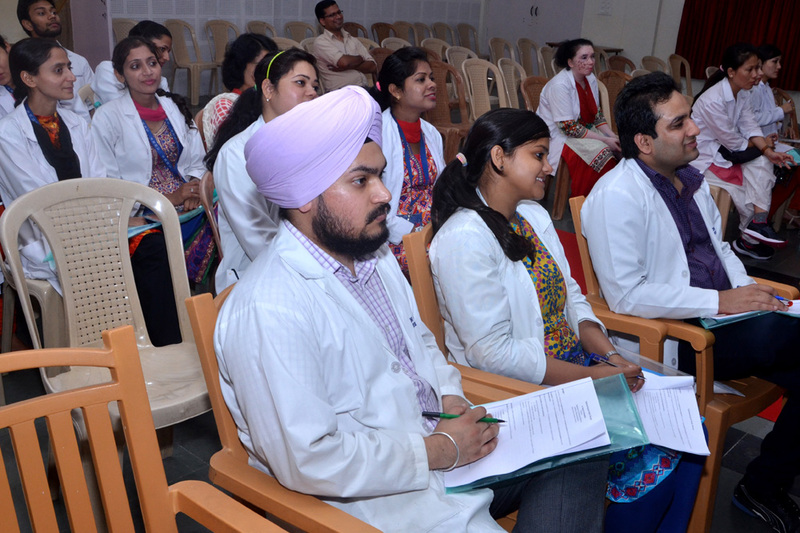 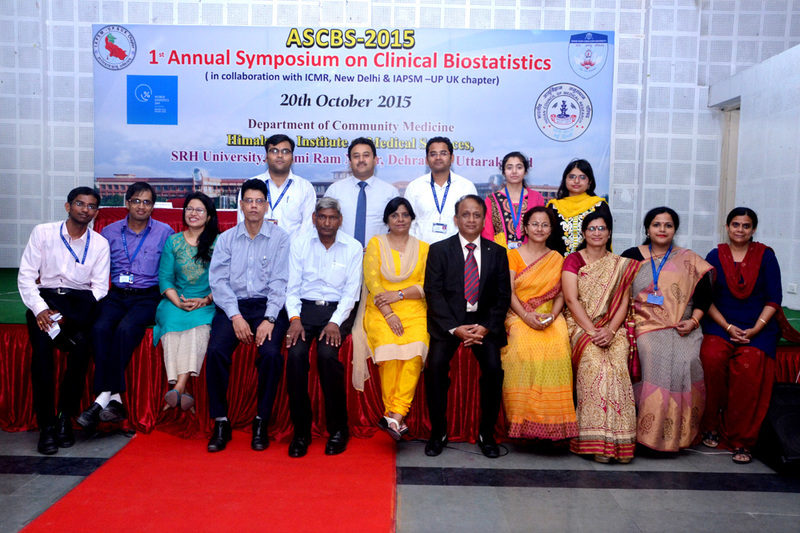 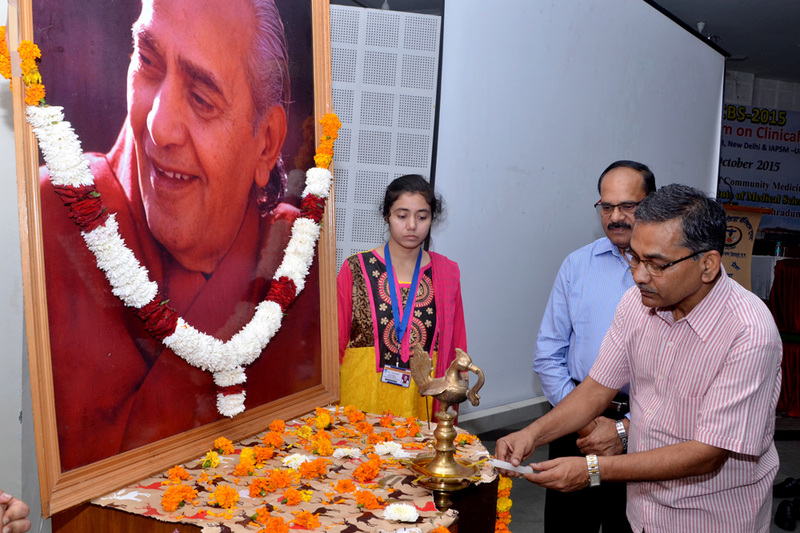 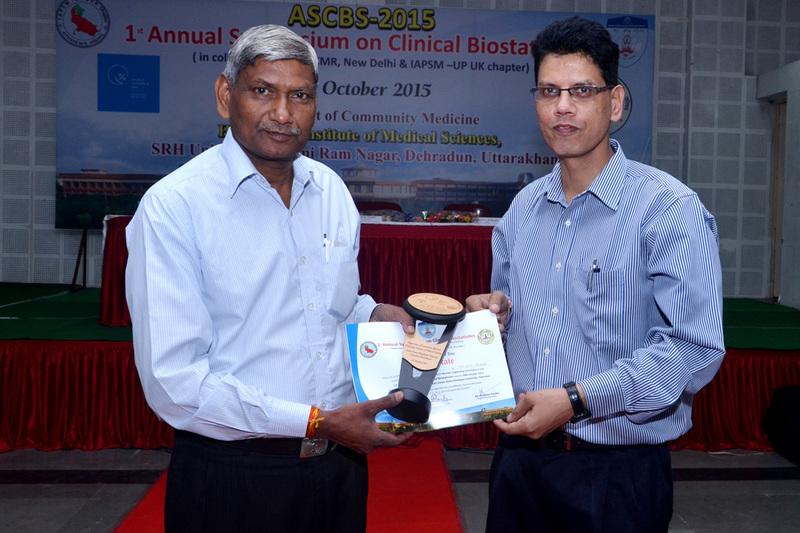 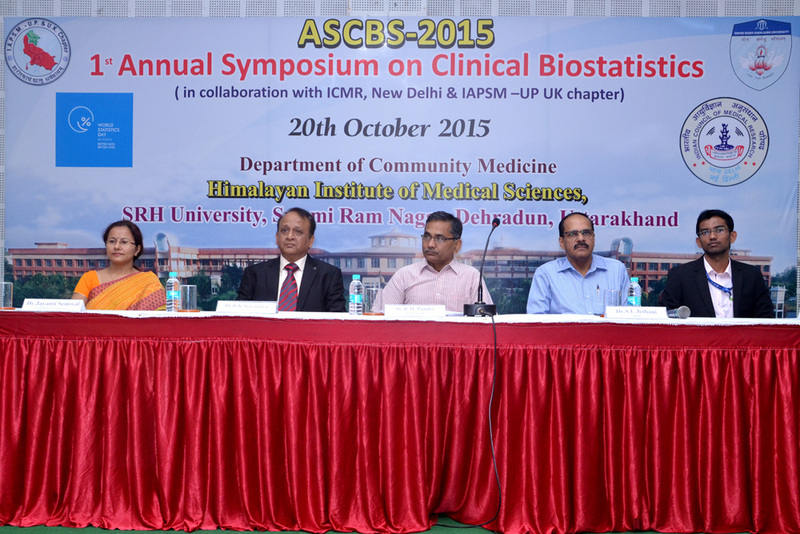 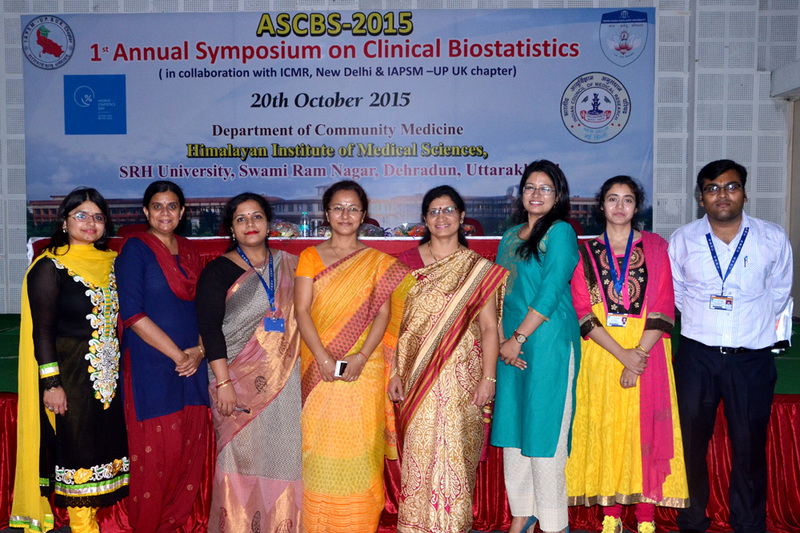 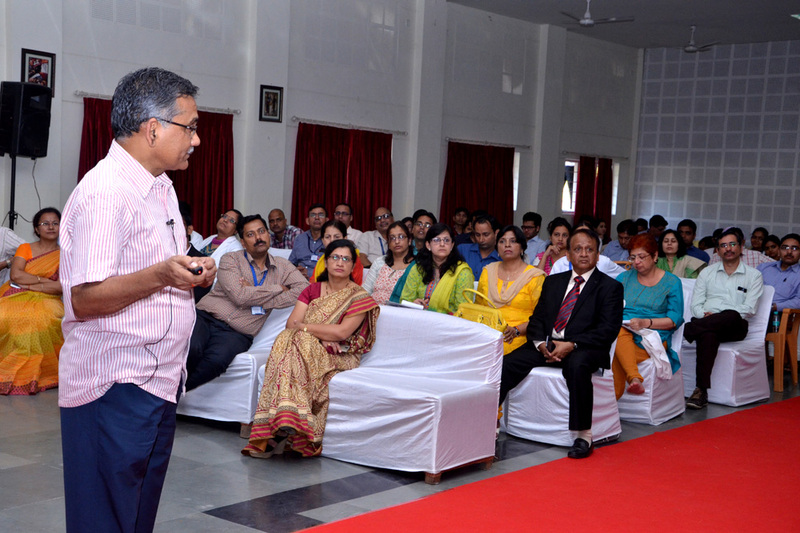 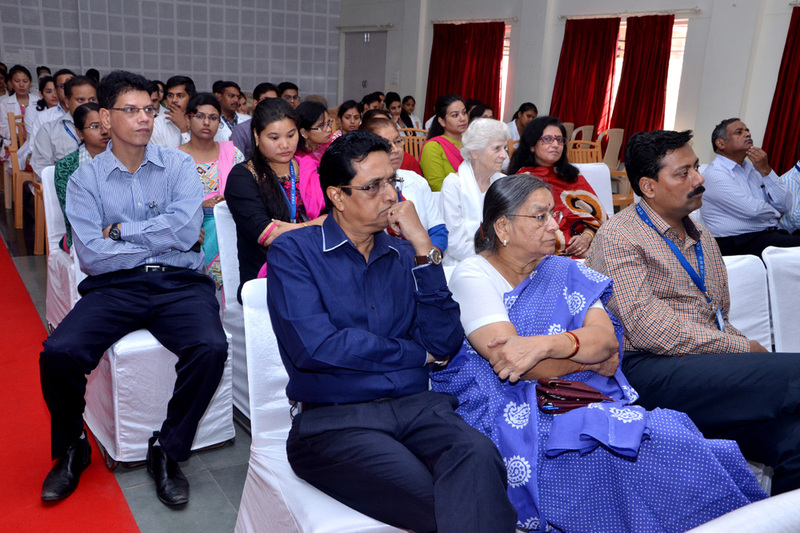 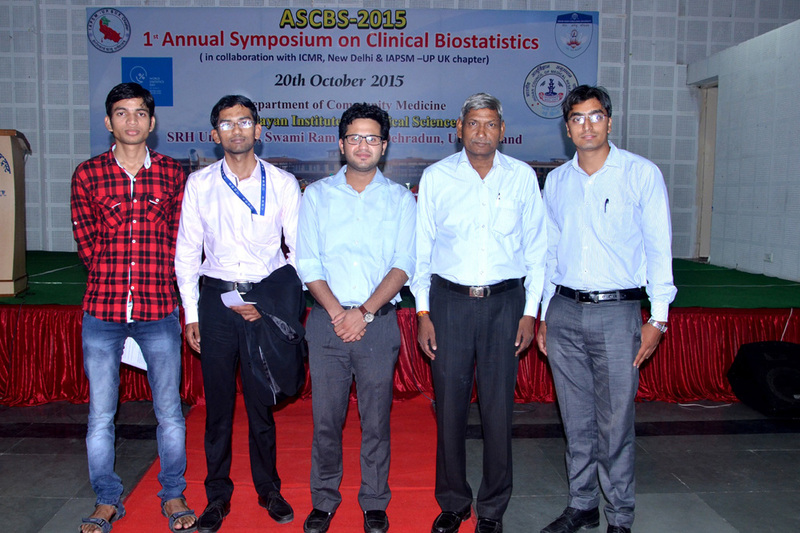 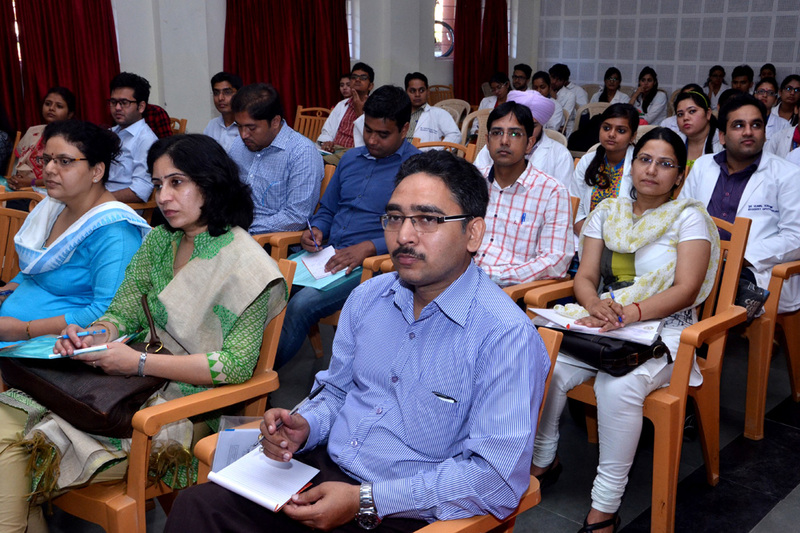 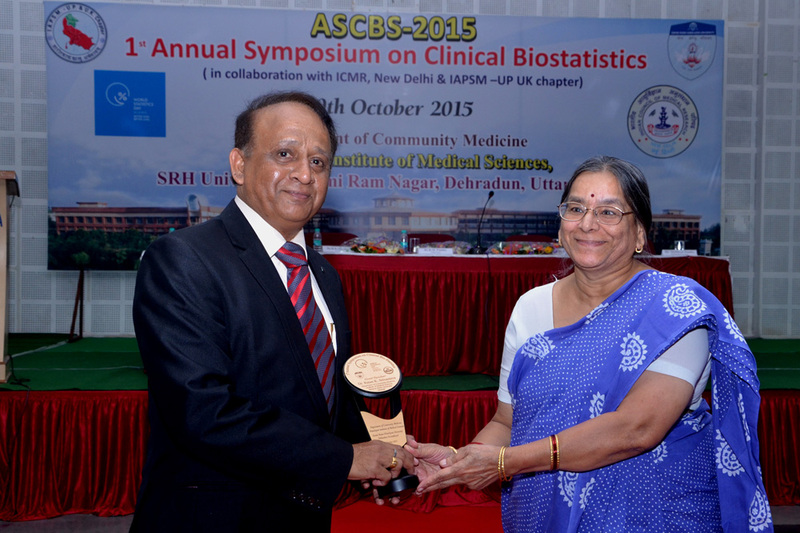 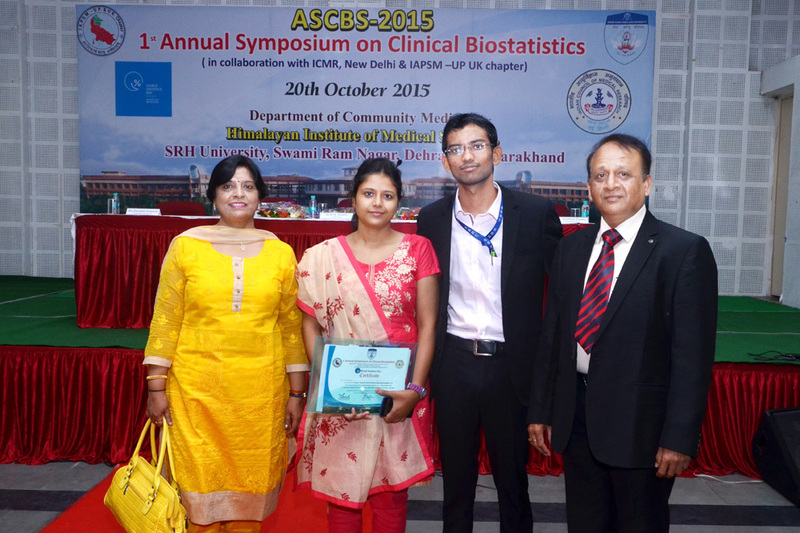 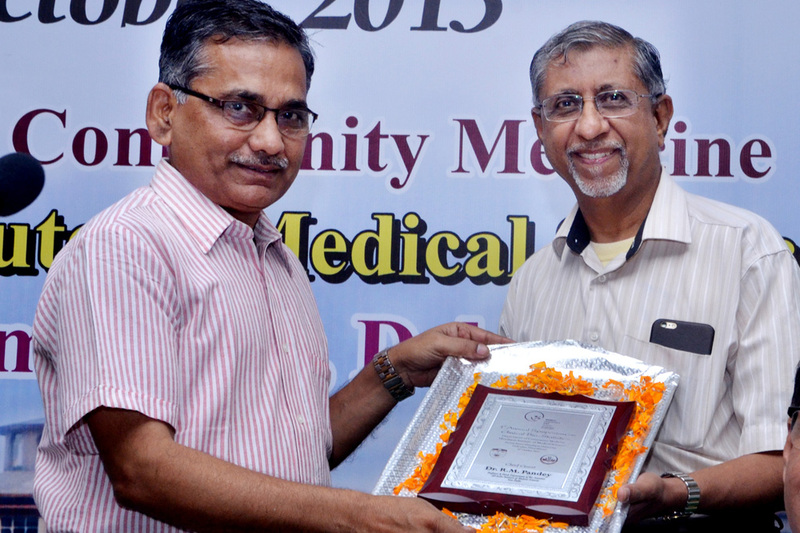 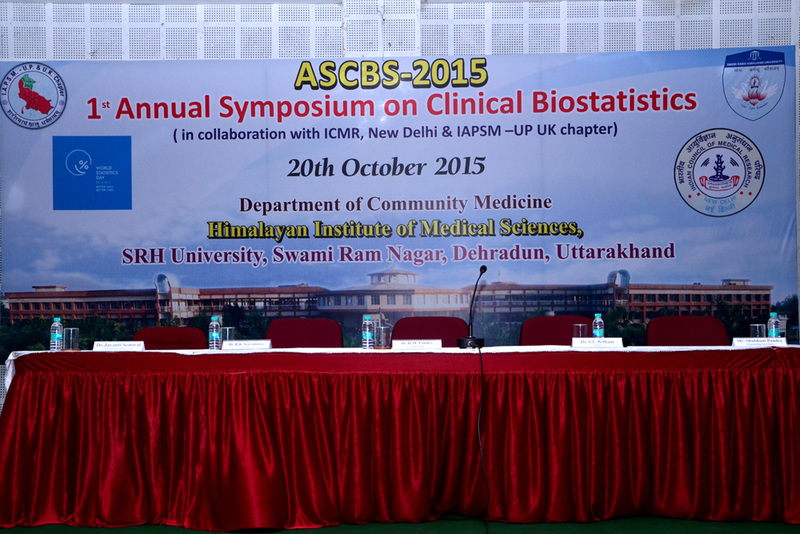 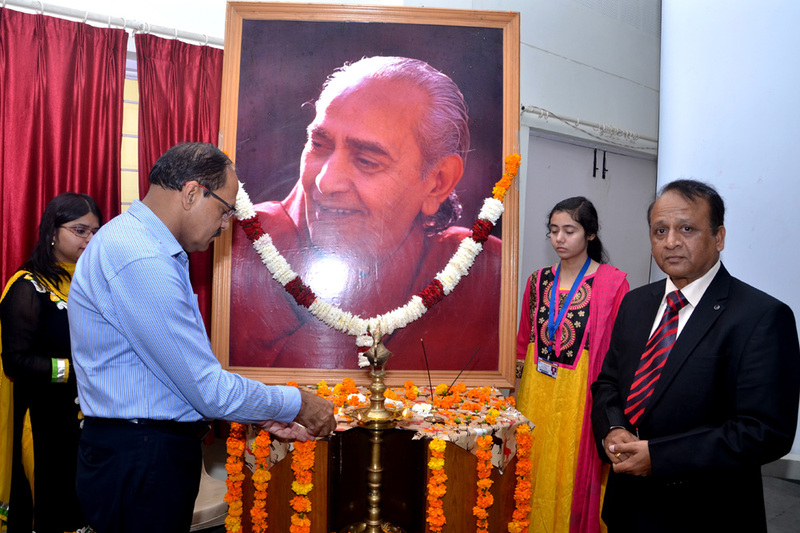 In occasion of World Statistics Day, Department of Community Medicine, Himalayan Institute of Medical Sciences, Swami Rama Himalayan University is conducting 1st Annual Symposium on Clinical Biostatistics on 20th October, 2015 under the theme of: “Application of Bio statistical methods in Epidemiological study designs”. 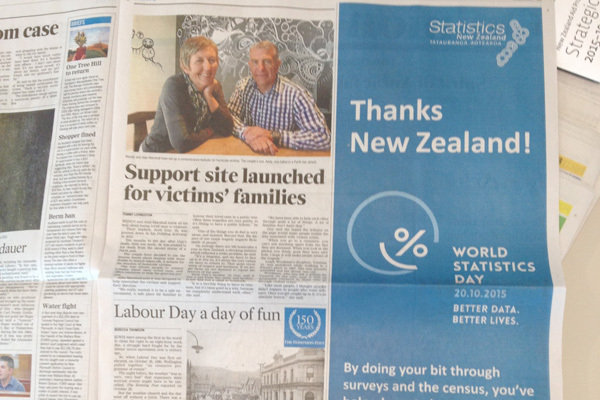 Statistics New Zealand reinforced the message shown on their website Thanks, New Zealand! 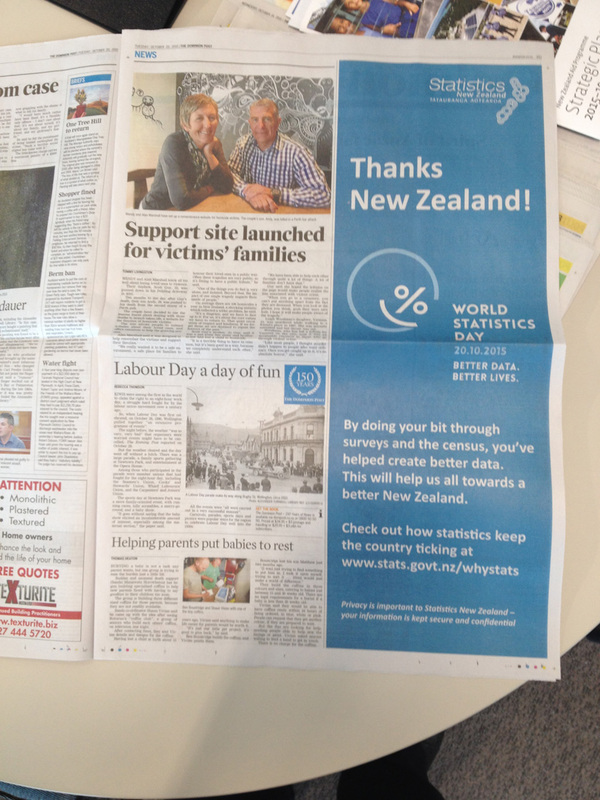 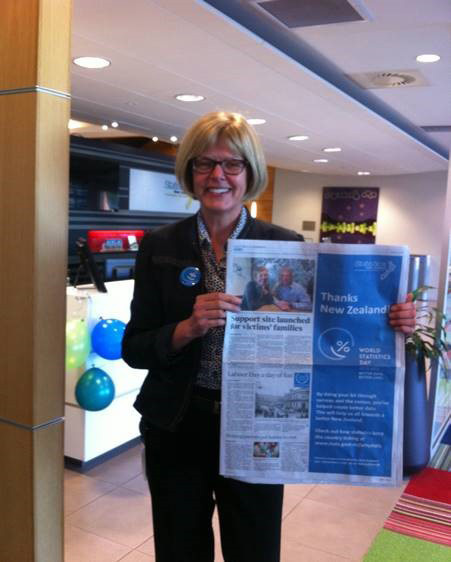 ... by half page adverts in the three major New Zealand newspapers – the NZ Herald, the Dominion Post, and The Press. 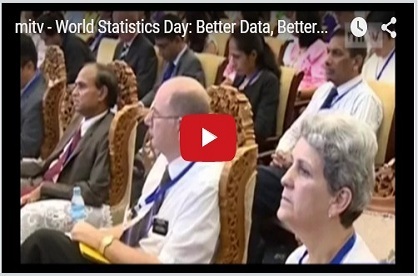 Statistics New Zealand also produced a video to show how statistics keep our country moving forward. 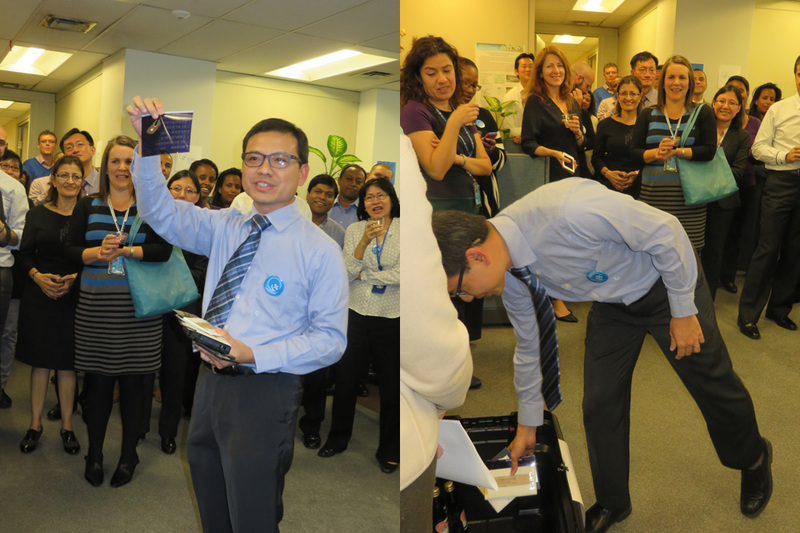 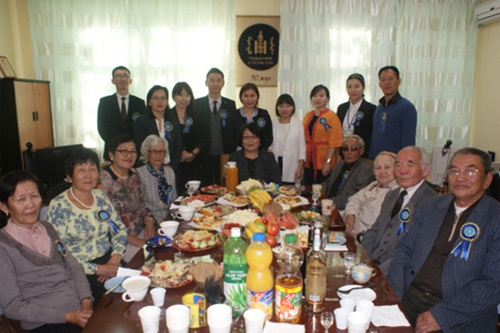 Welcoming of NSOM retirees on the occasion of the International Day of Older Persons (25 September). 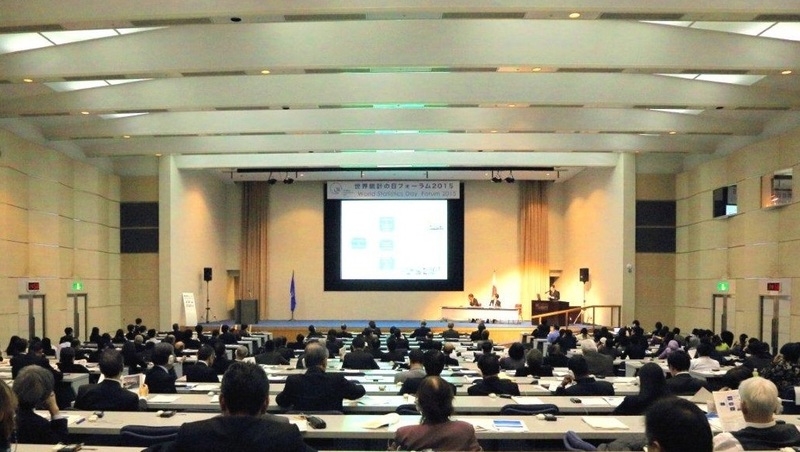 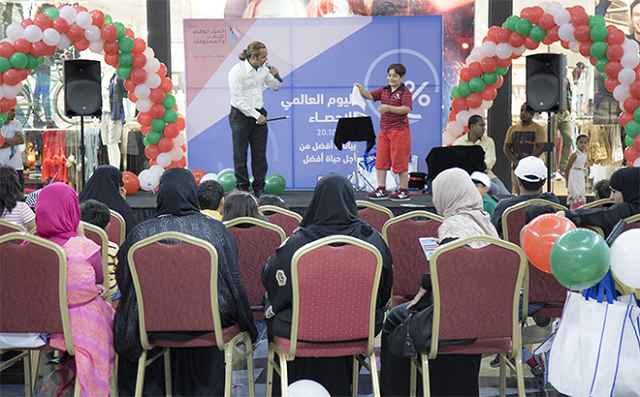 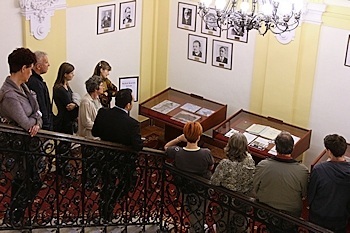 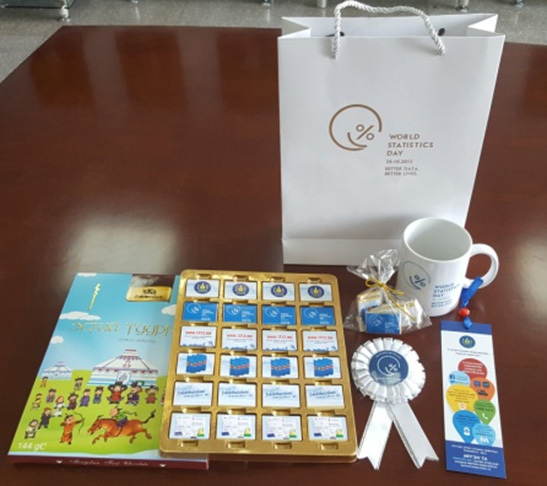 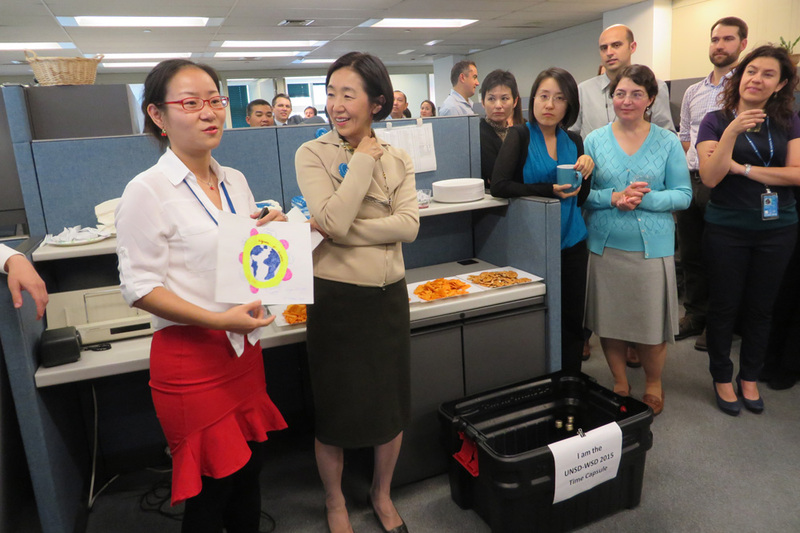 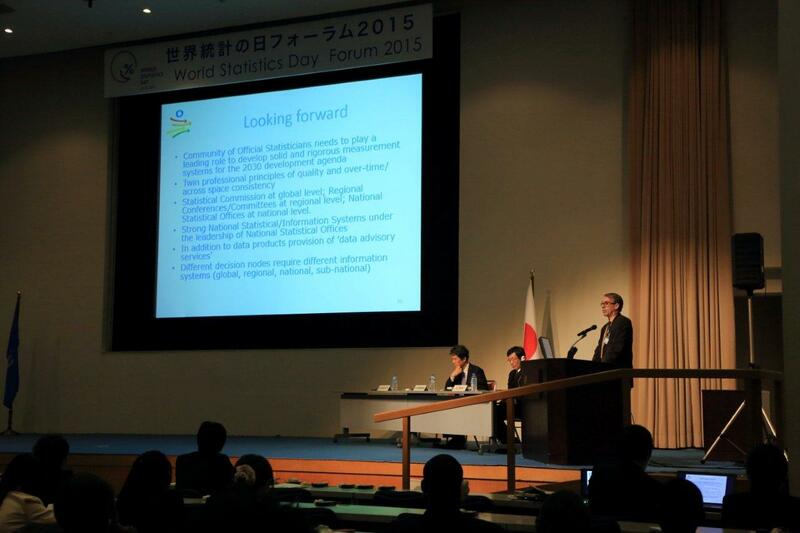 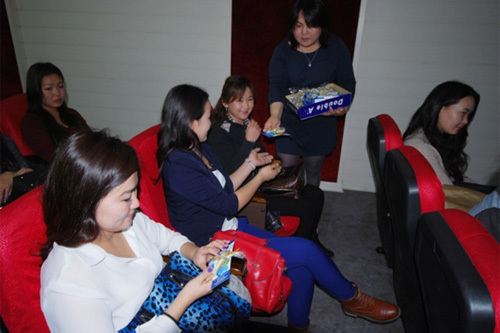 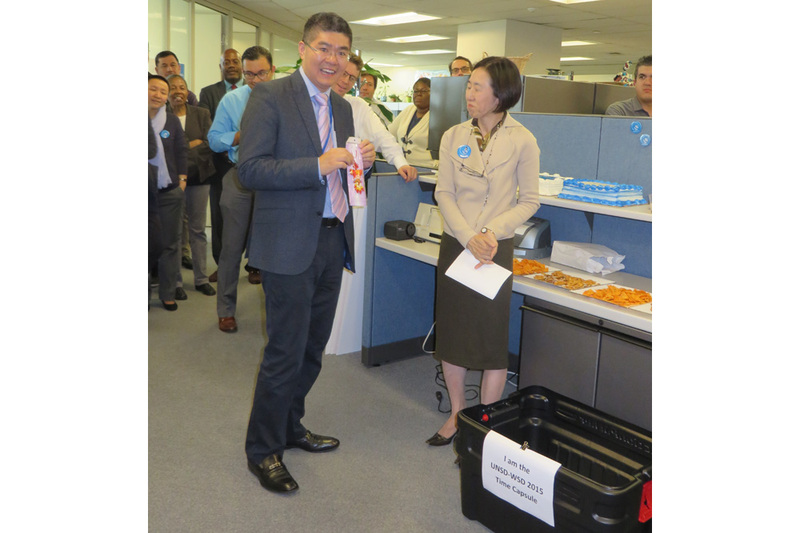 Participants were presented with WSD souvenirs. 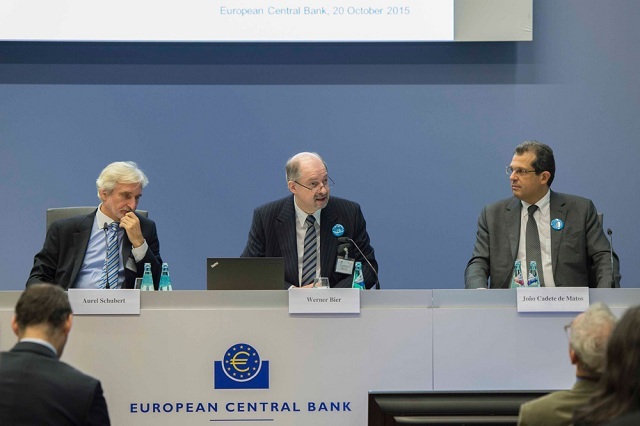 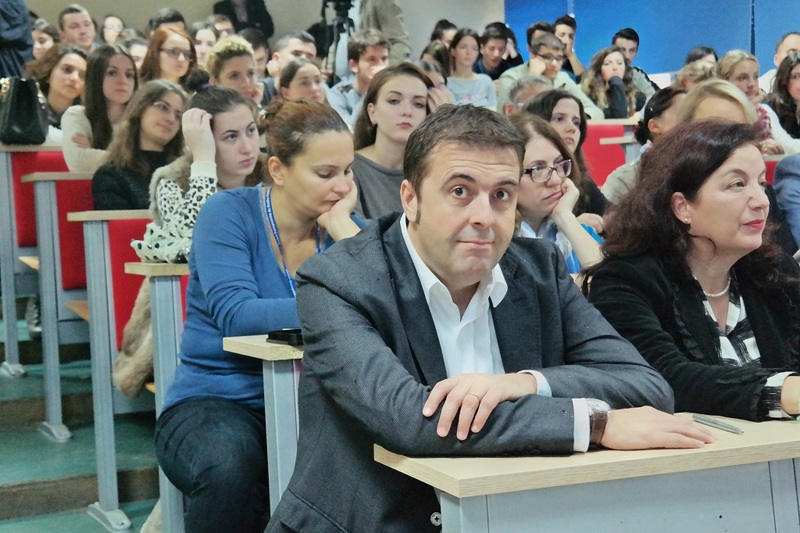 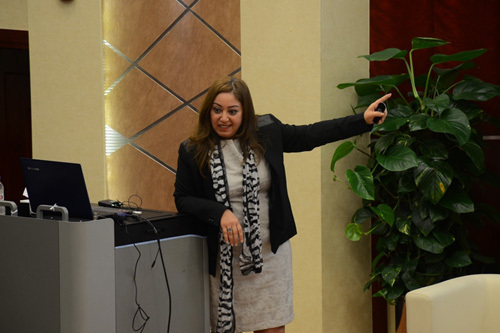 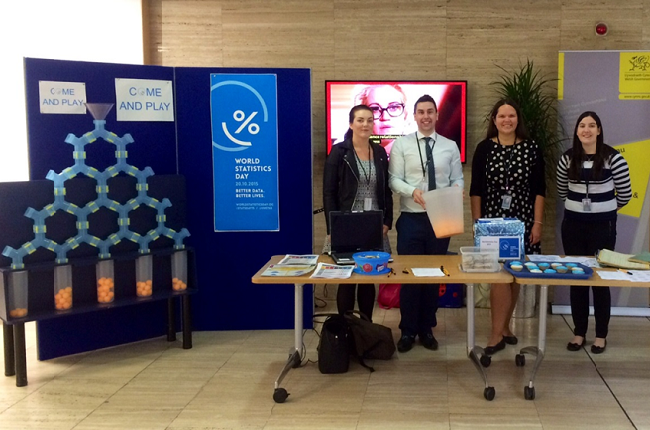 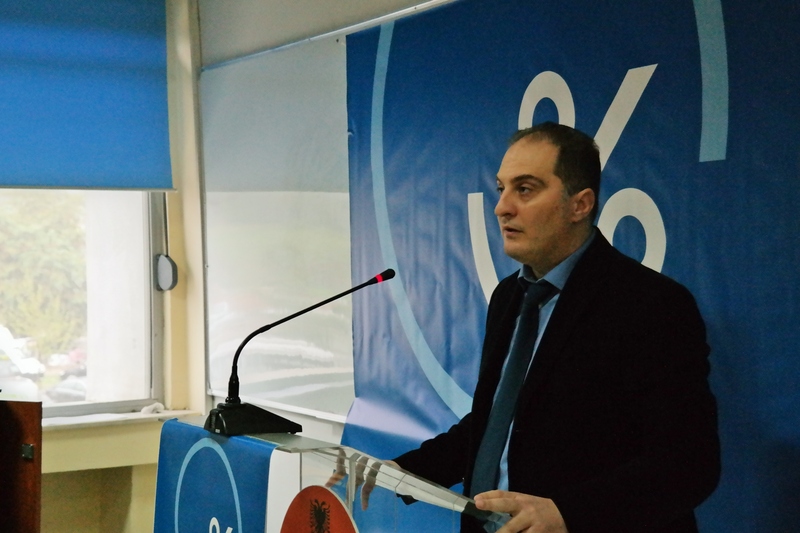 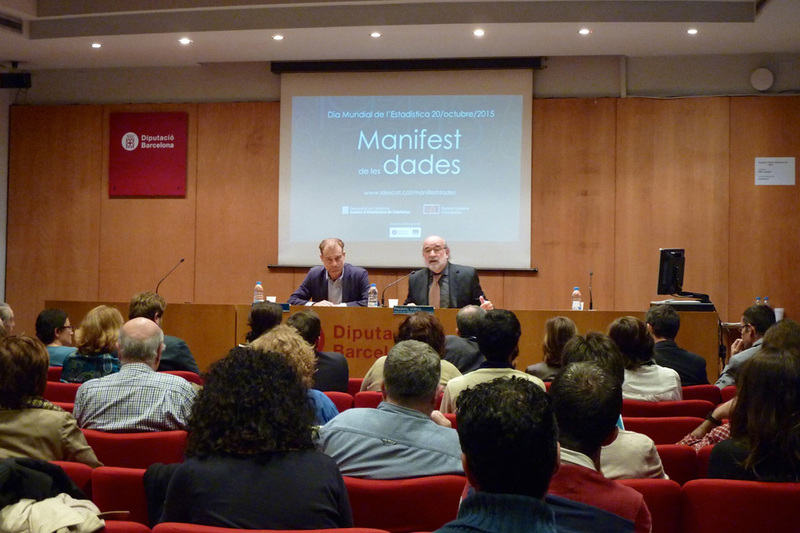 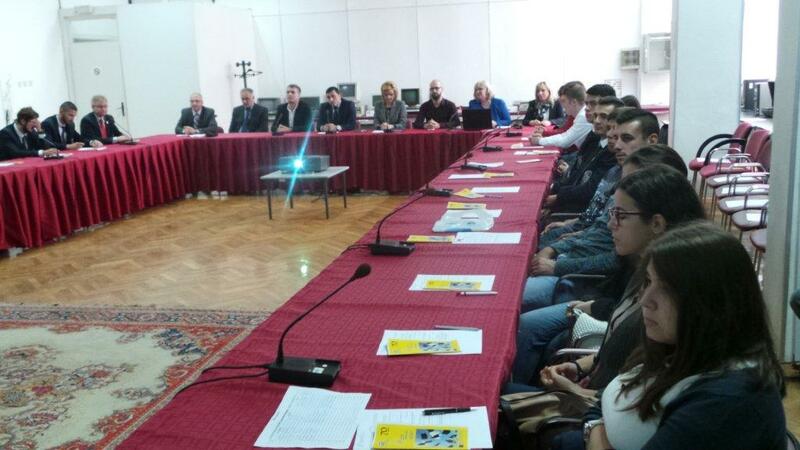 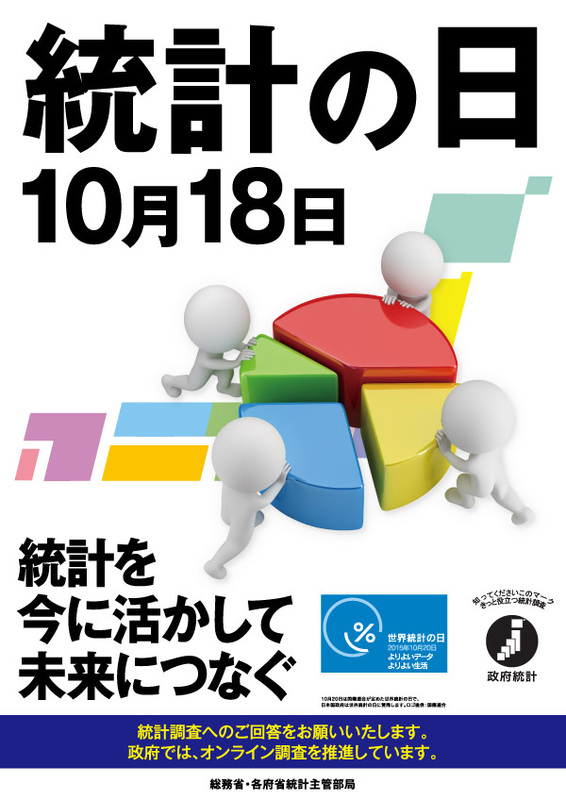 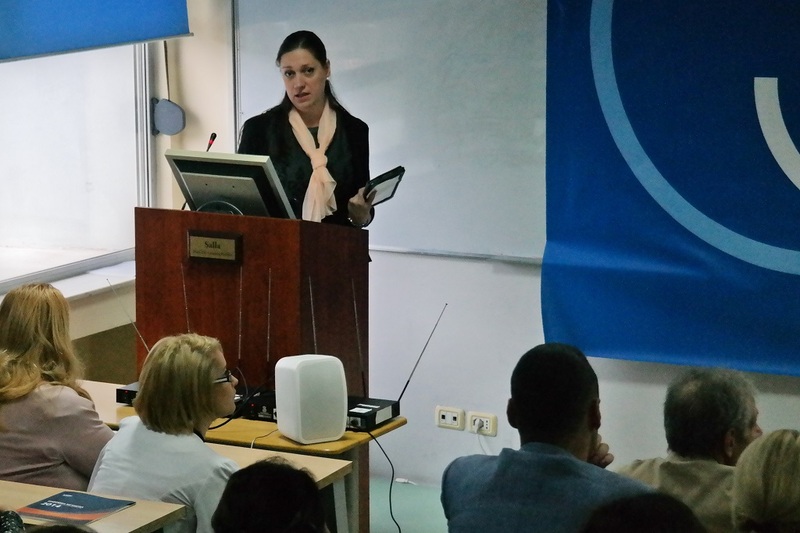 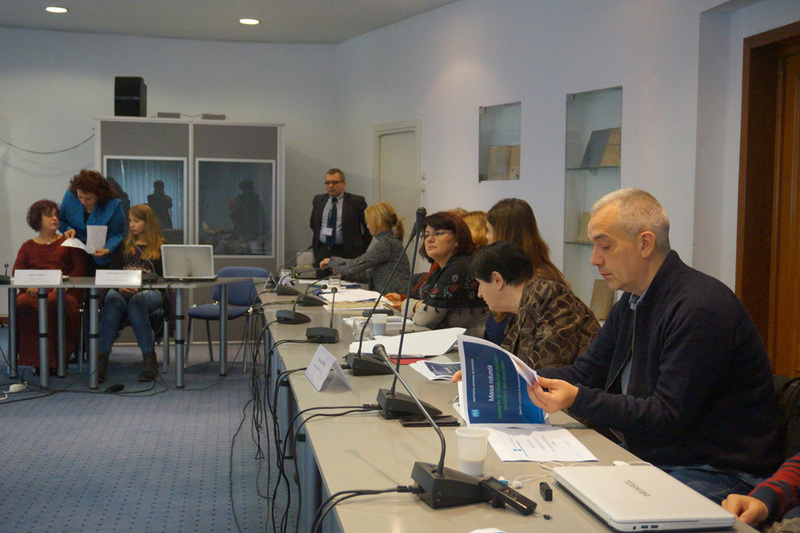 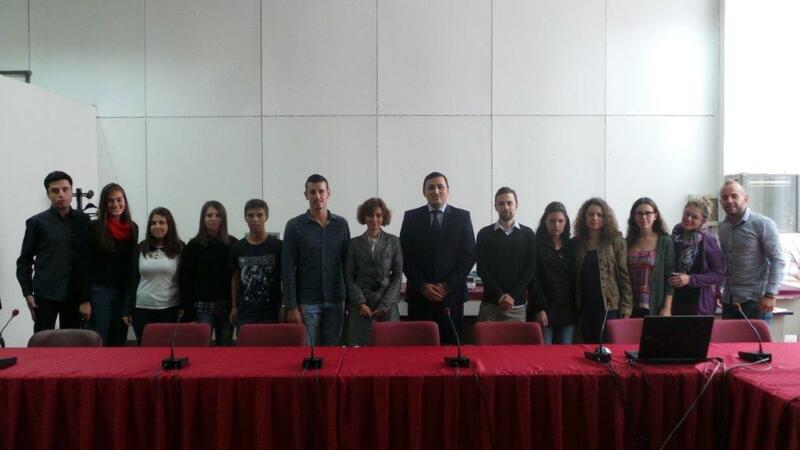 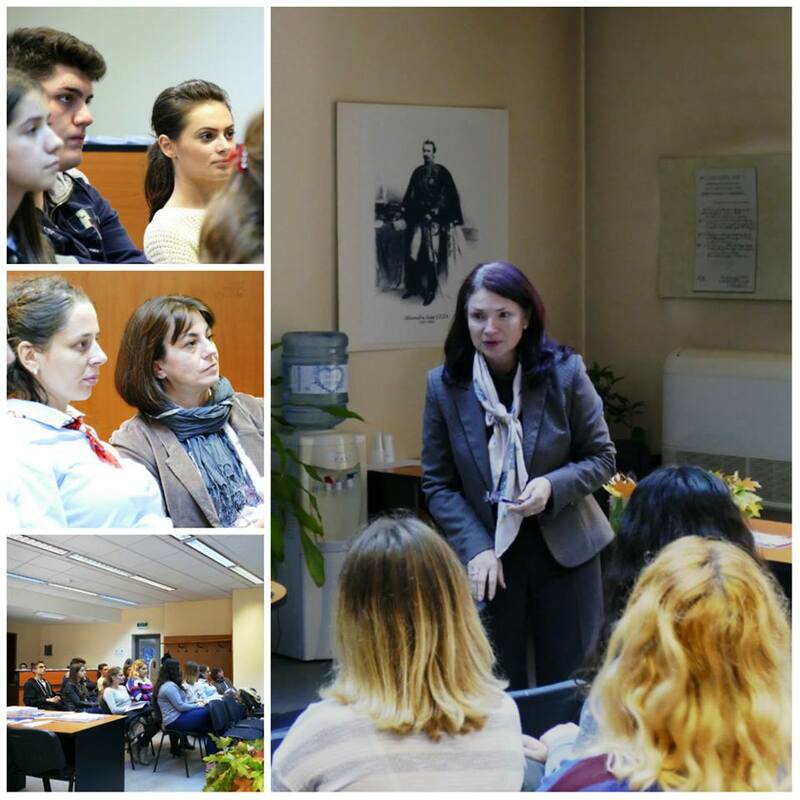 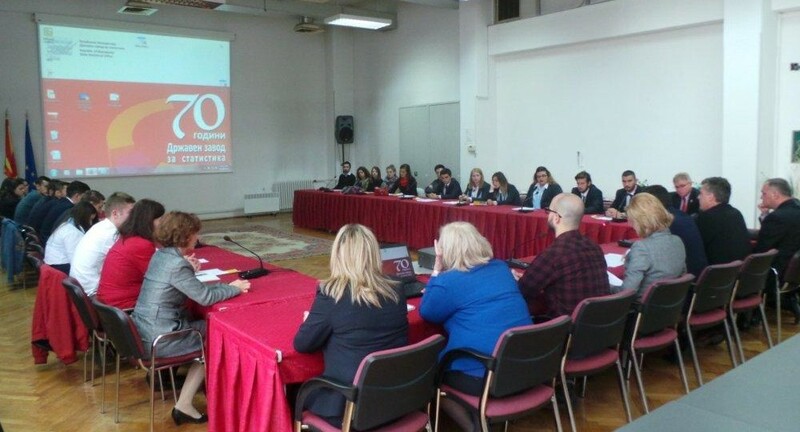 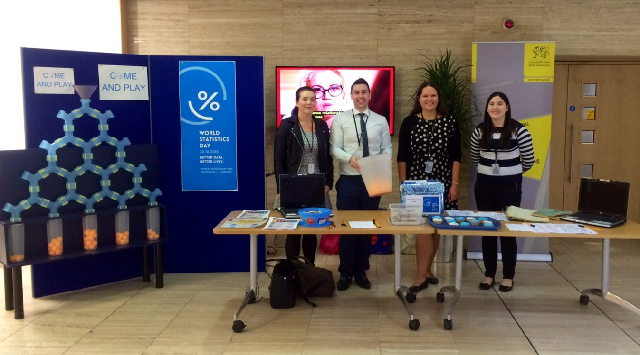 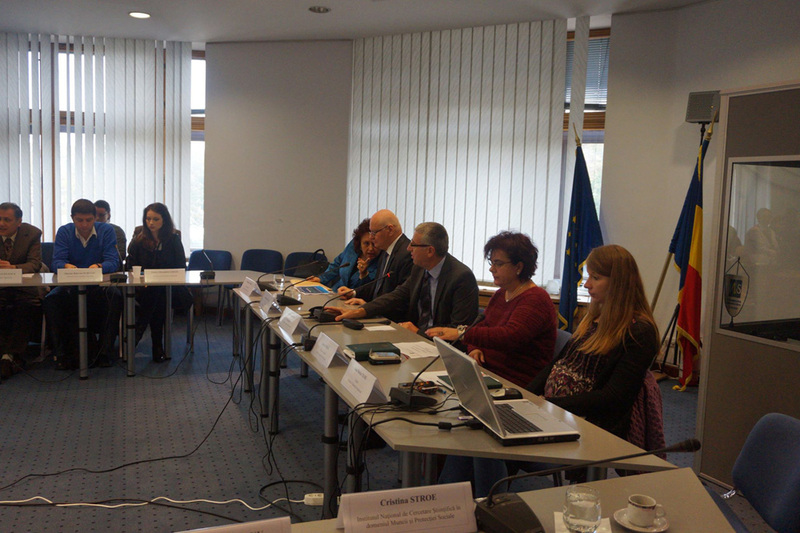 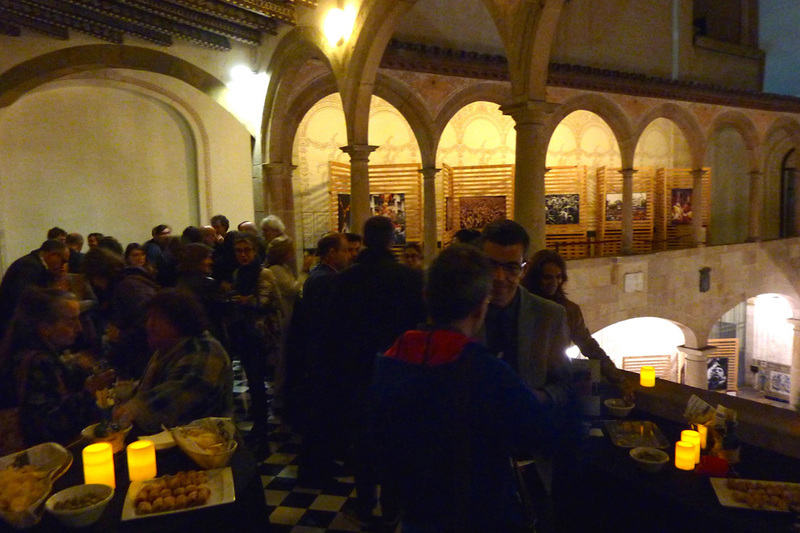 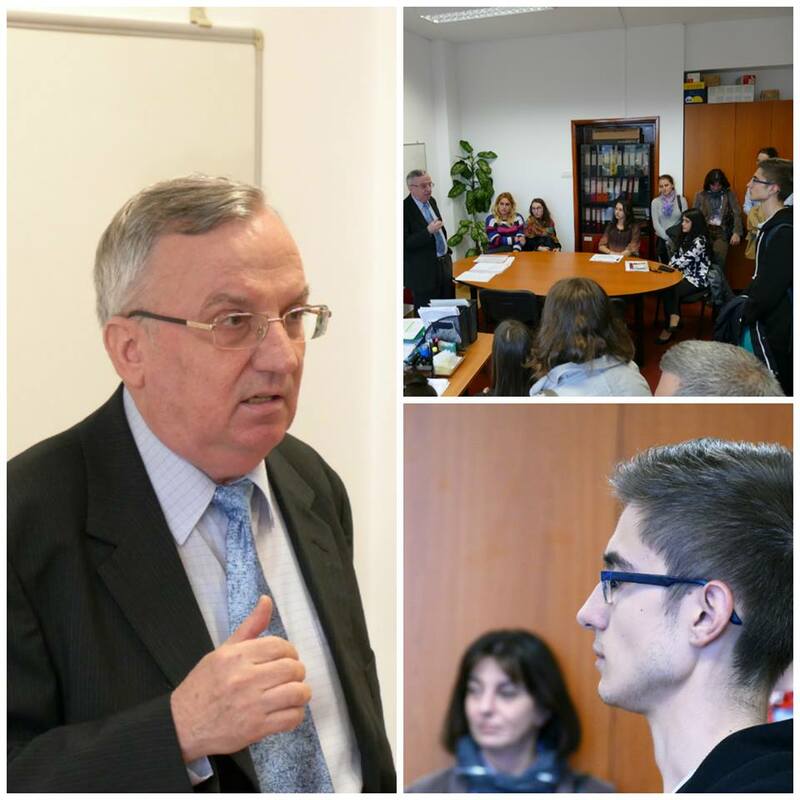 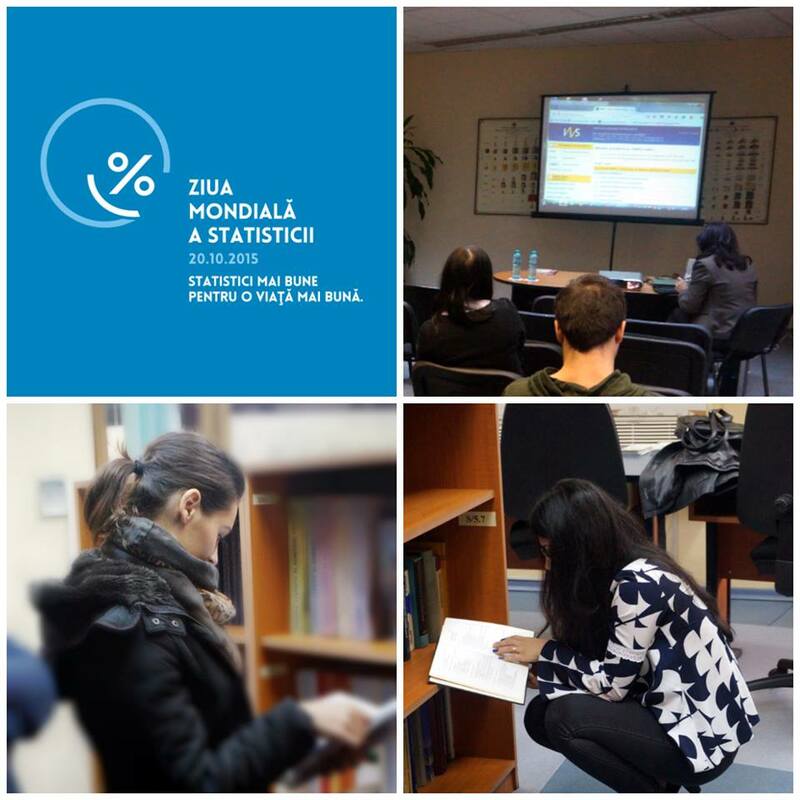 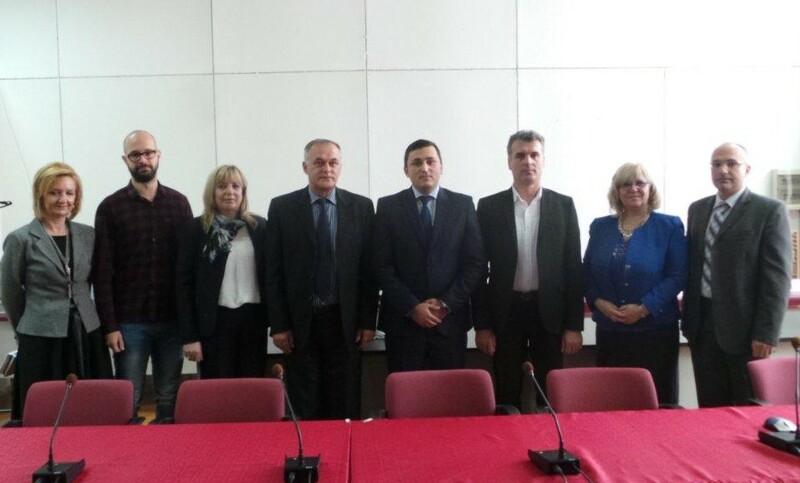 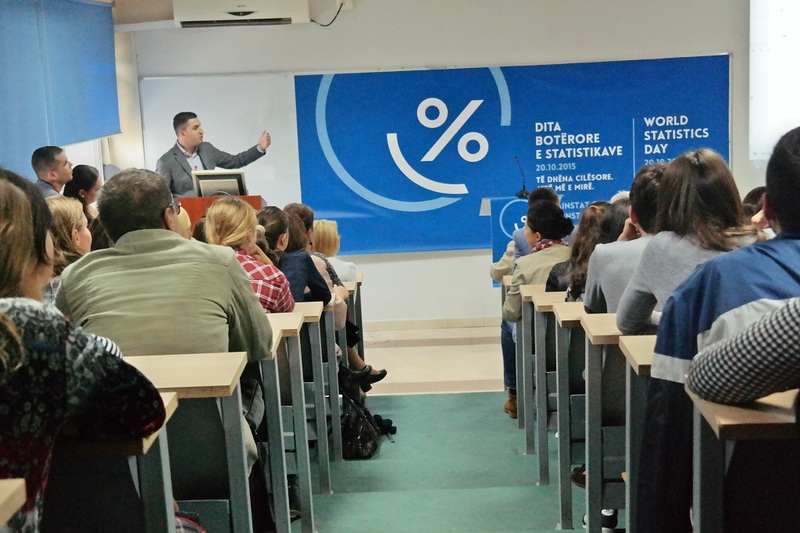 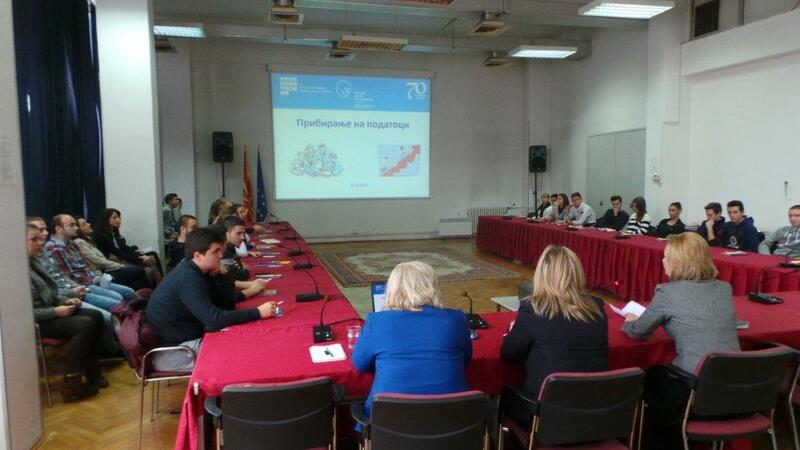 NSOM workshop with the students from the national universities, studying statistics and economics (16 October). 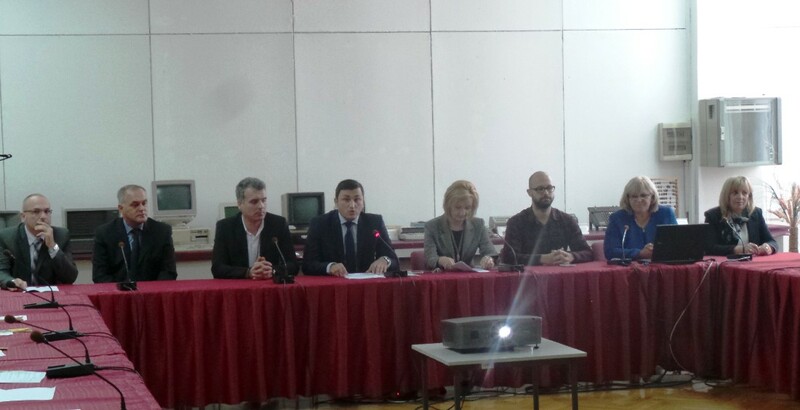 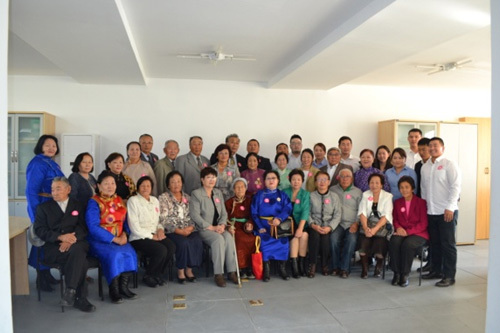 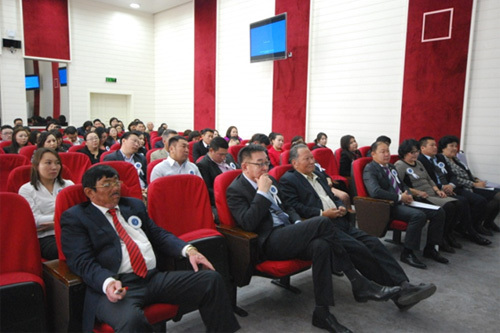 NSOM meeting for the all the employees at the NSOM Headquarters and those at the statistical divisions and department in aimags and the capital city (20 October). 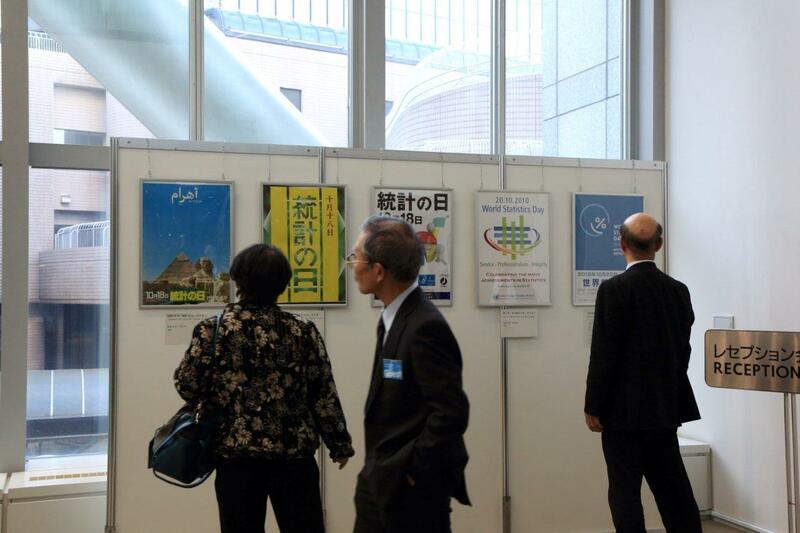 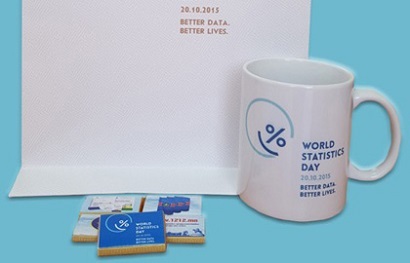 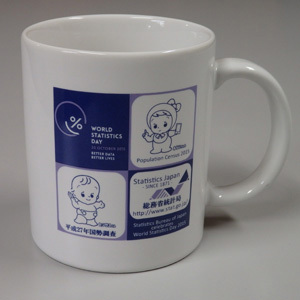 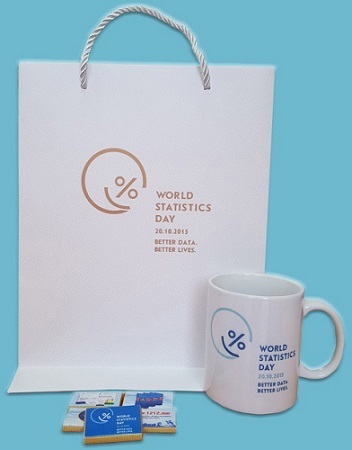 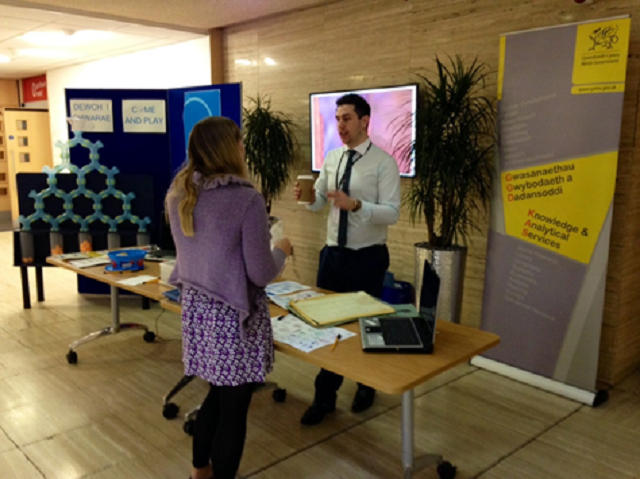 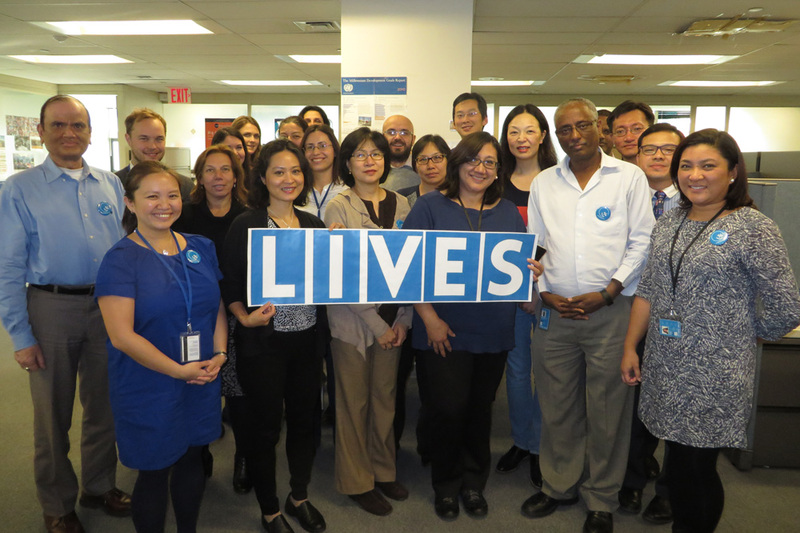 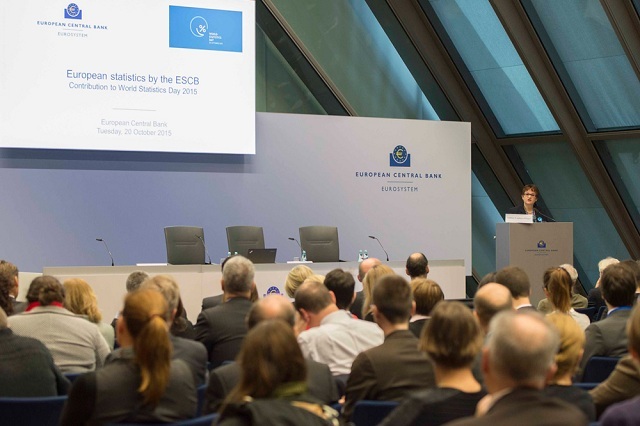 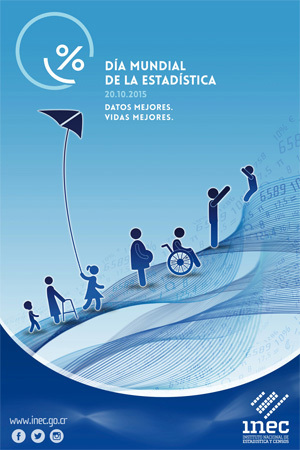 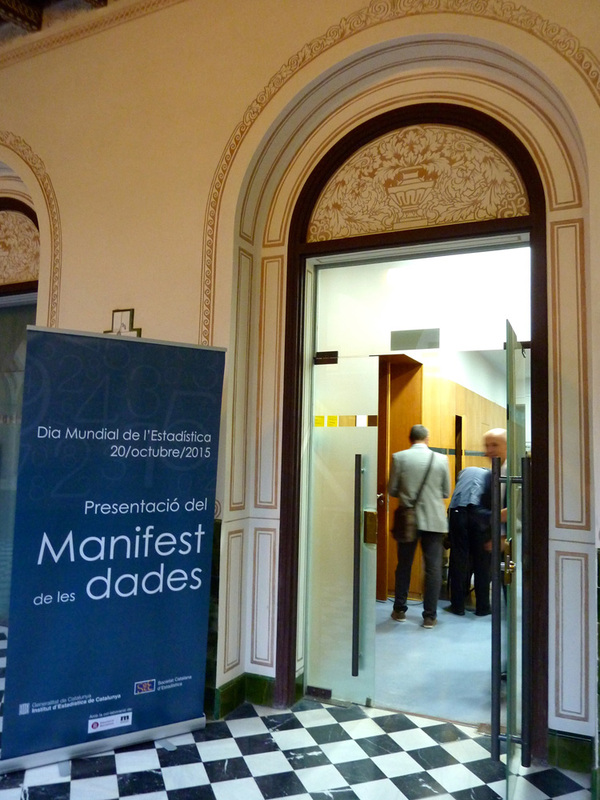 All the persons, attending the event, were handed a badge, a bookmark and some chocolate with the logo for the World Statistics Day. 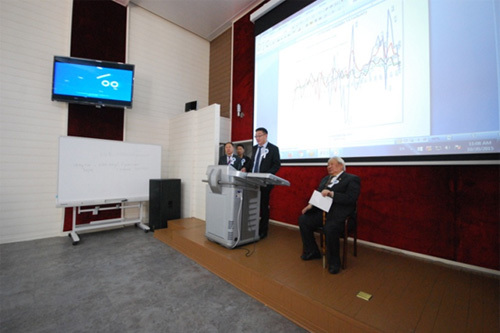 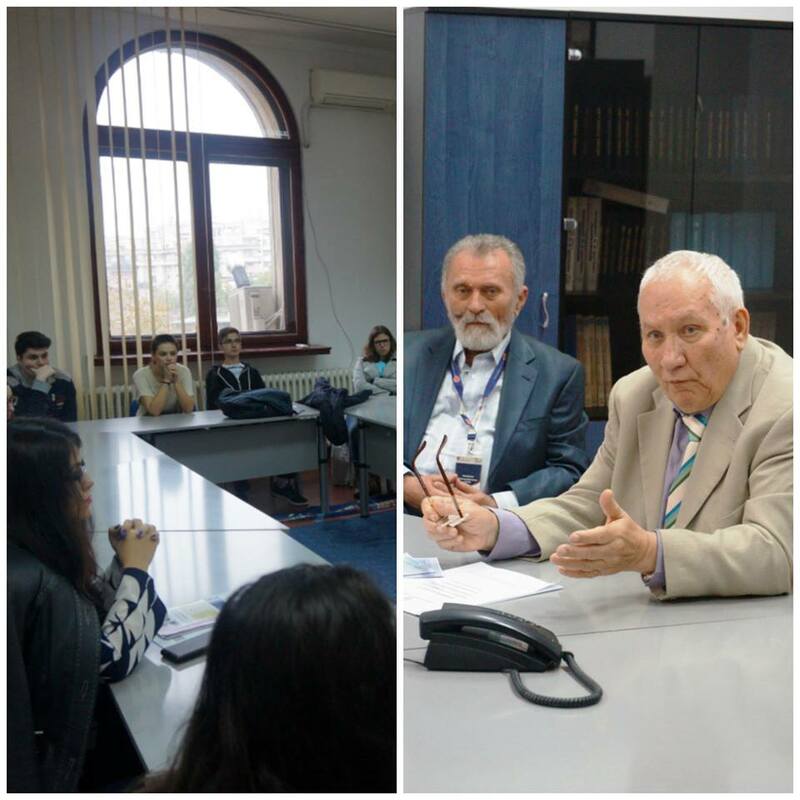 Mr D. Byambasuren, a former Prime Minister of Mongolia, a Honoured Economist of Mongolia, and an Older Statistician, delivered a presentation on “Economic Growth Dynamics and Distribution” and answered questions from the audience. 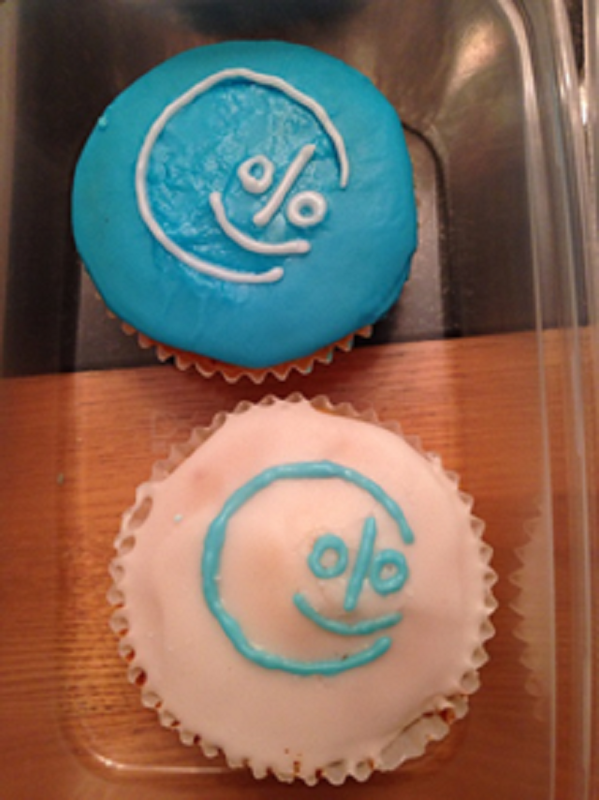 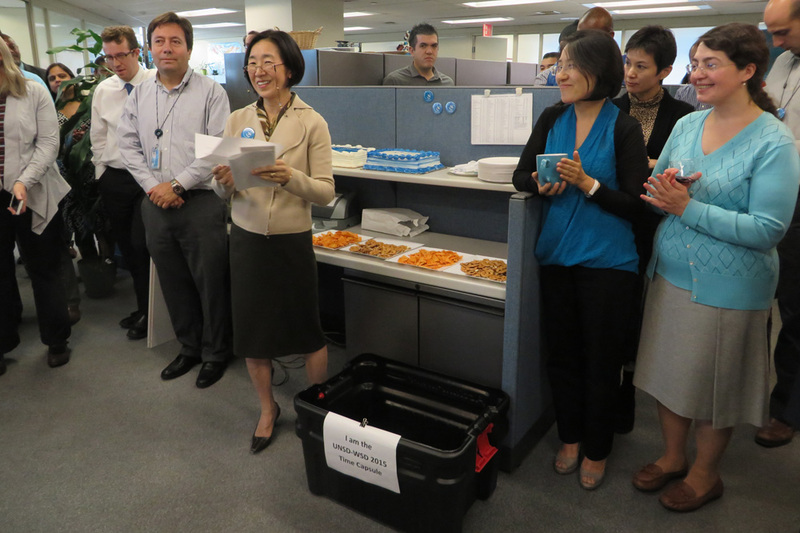 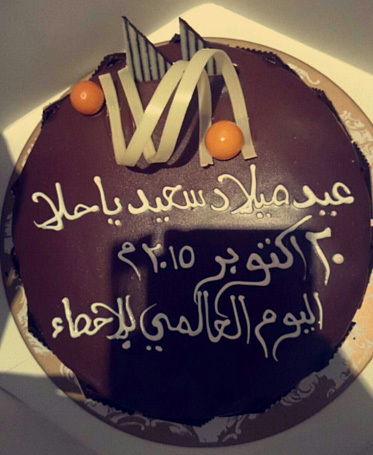 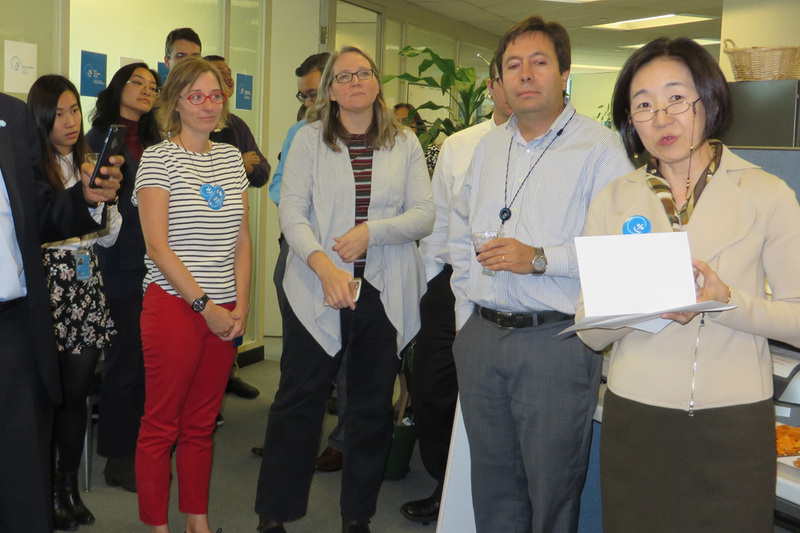 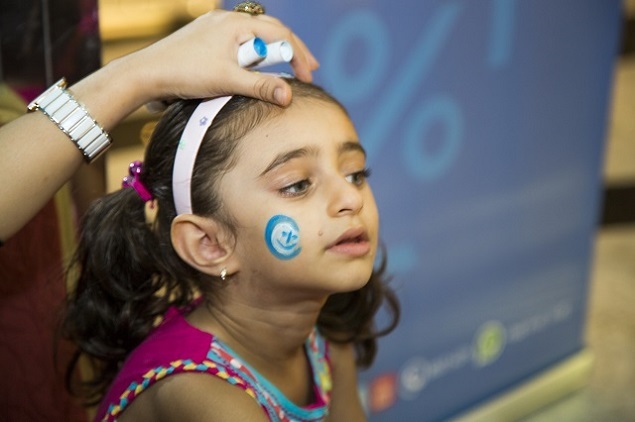 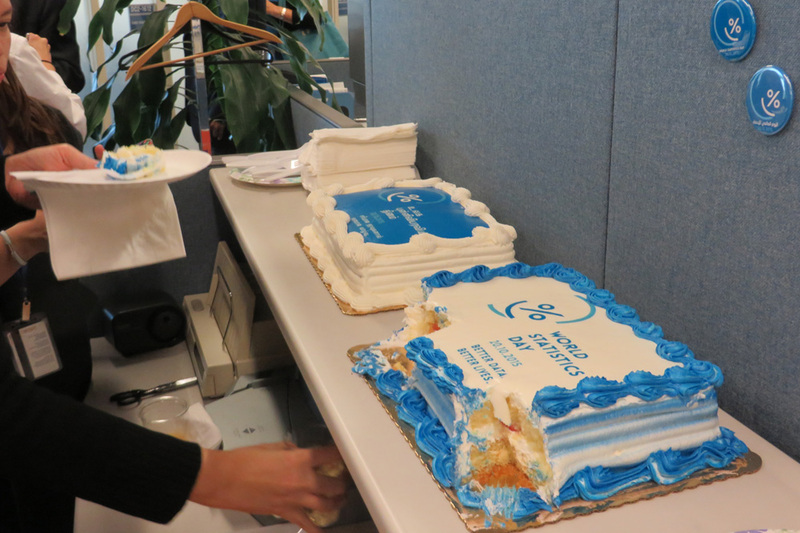 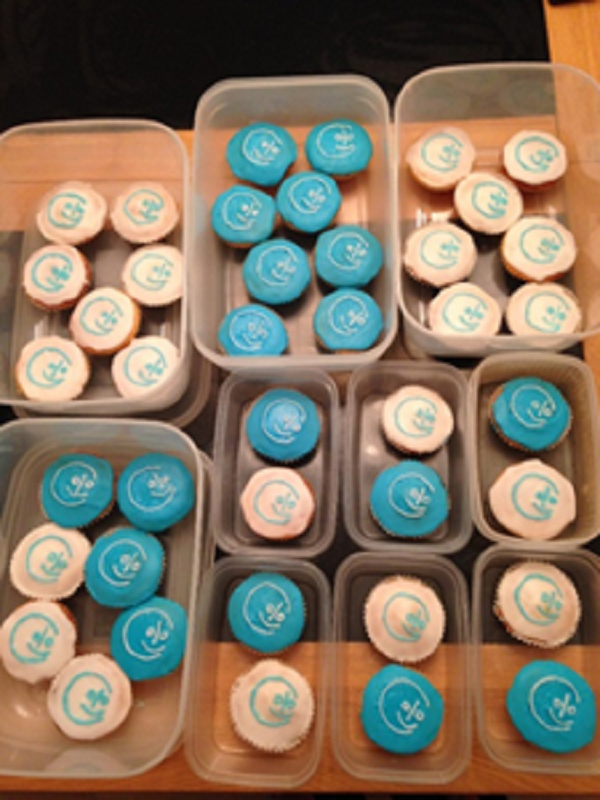 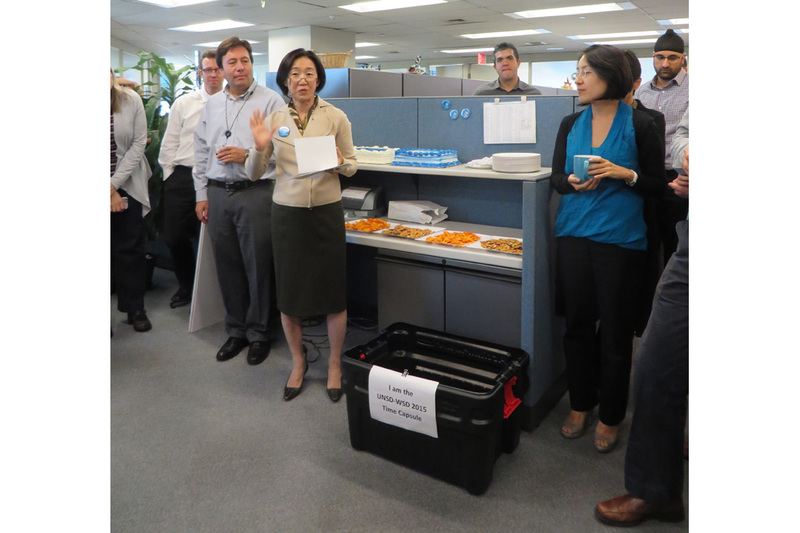 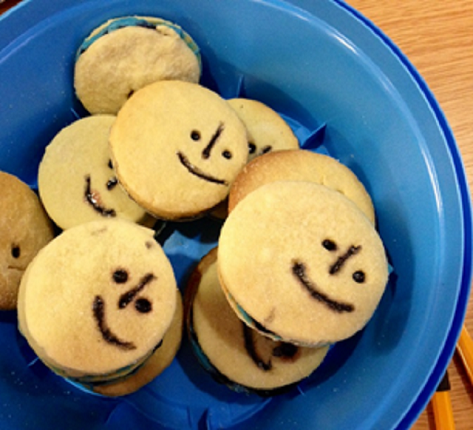 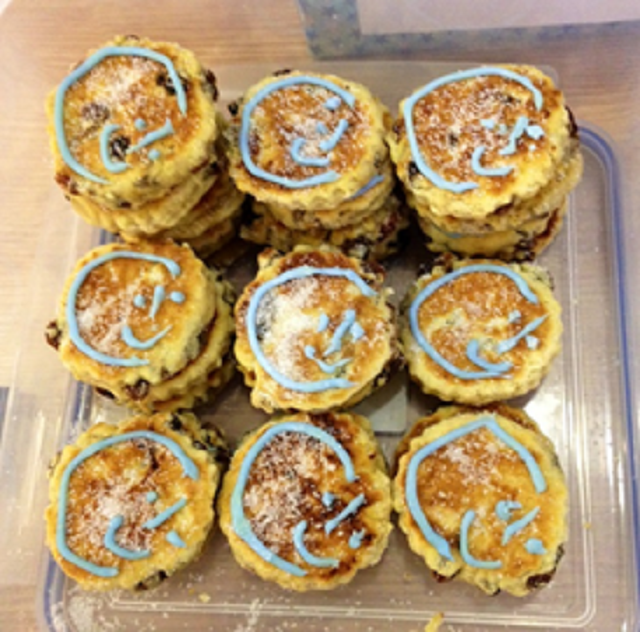 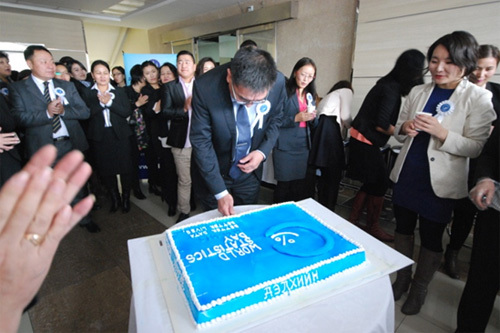 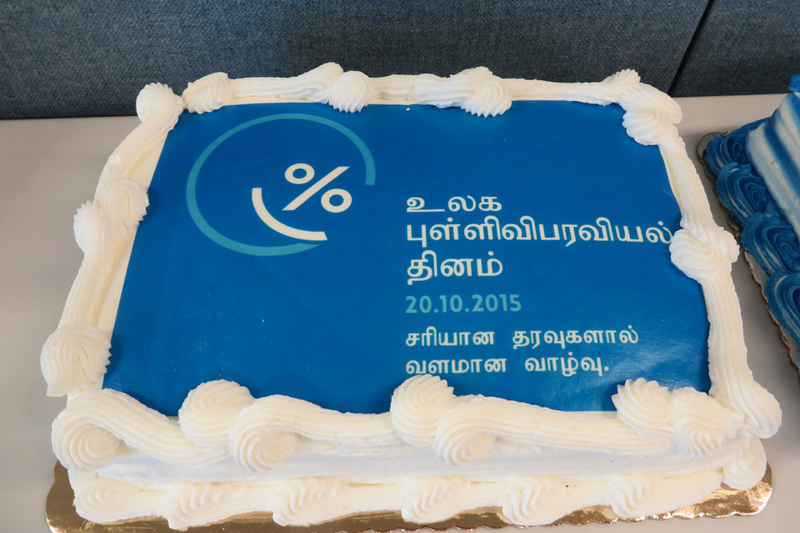 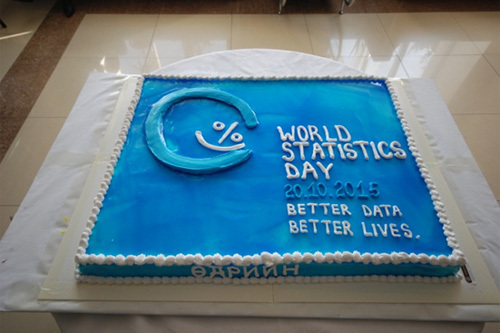 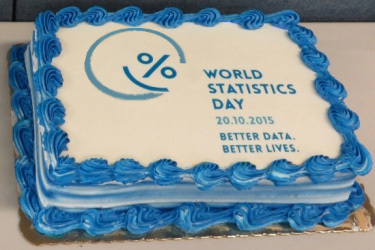 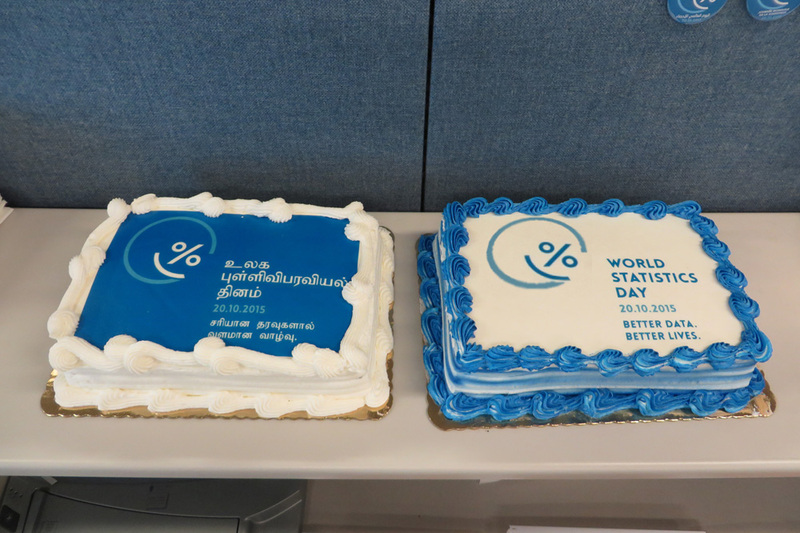 At the end of the event, the audience shared a cake with the logo for the World Statistics Day to celebrate this commemorative day. 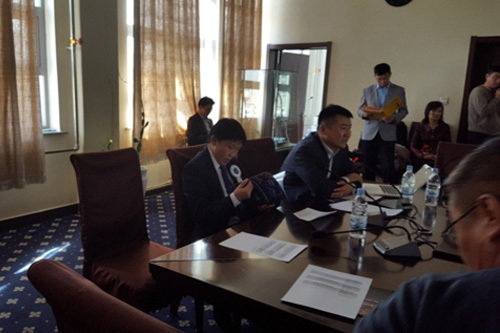 NSOM and Mongolian National Chamber of Commerce and Industry workshop for the management officials from 50 infrastructure and construction enterprises. 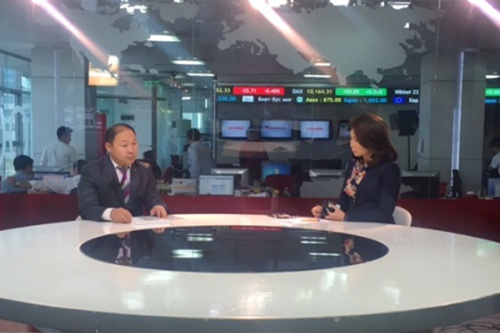 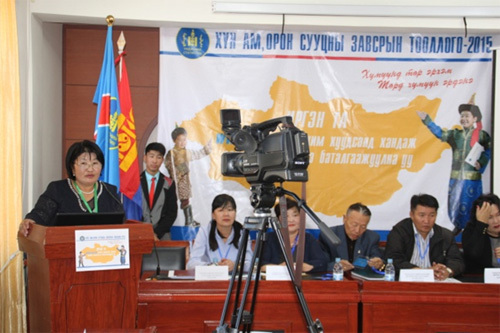 NSOM participated in live interviews through the local media. 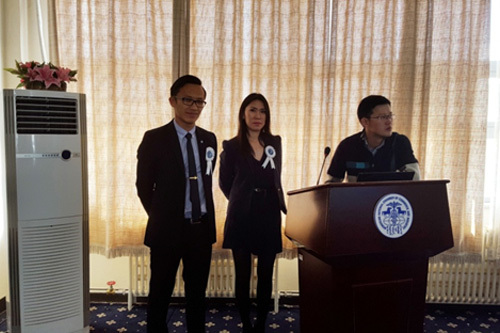 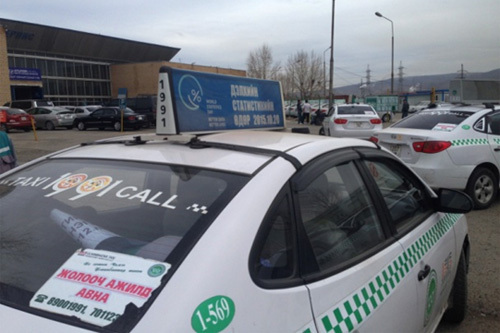 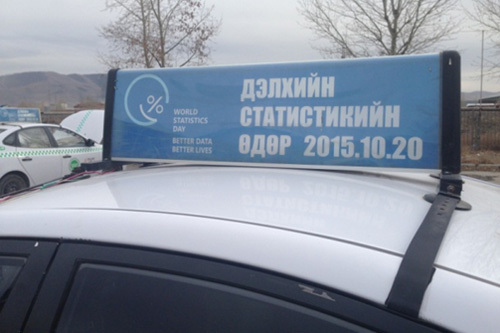 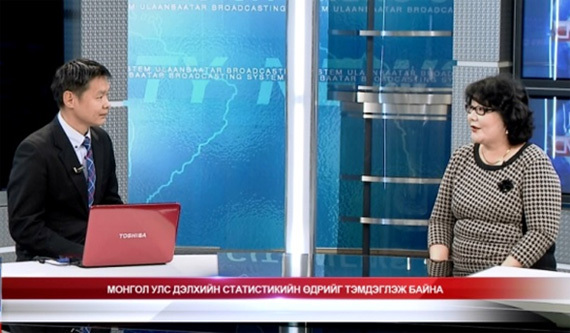 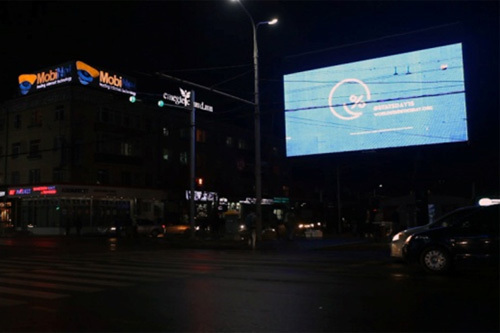 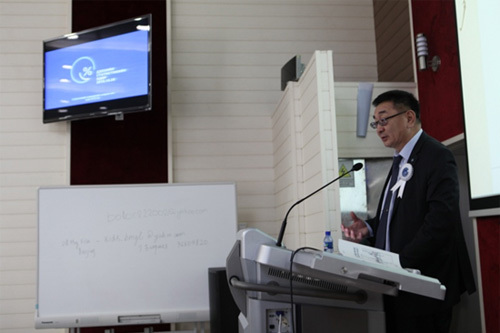 The video clip for the World Statistics Day, prepared by the UNSD, was broadcast through the electronic advertisement screens in the high streets of Ulaanbaatar City and placed on the taxi top advertising displays. 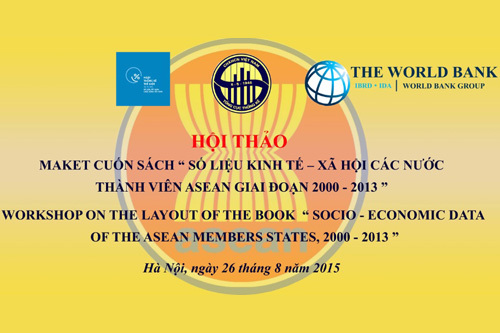 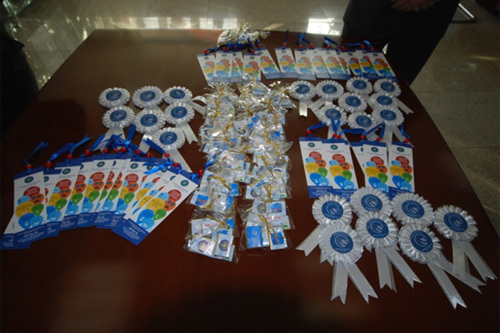 Distribution of 2000 bookmarks featuring the logos for the World Statistics Day and of the NSOM to users of statistics present in the public places, such as the National University of Mongolia, the Mongolian University of Science and Technology, the National Library, and the Urgoo and the Tengis, cinemas. 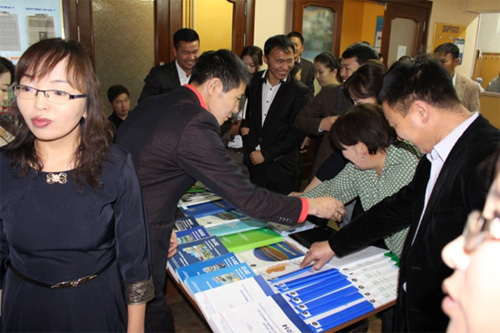 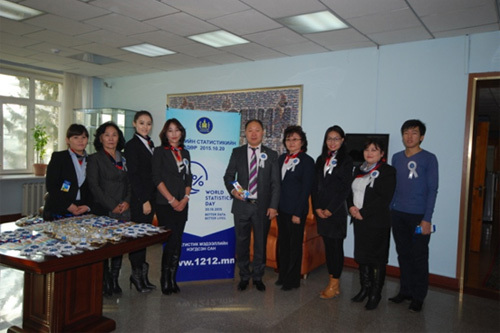 Open Doors Day of the statistical units in the capital city and its 9 districts, and 21 aimags. 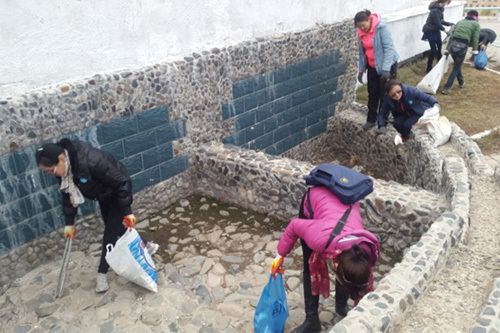 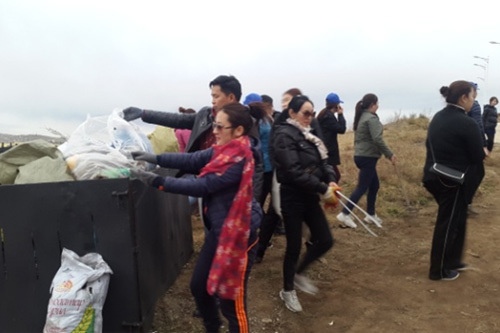 Voluntary campaign near the Nairamdal hill organized by Orkhon aimag: cleaning up the place in order to make their own contribution to the conservation of the environment. 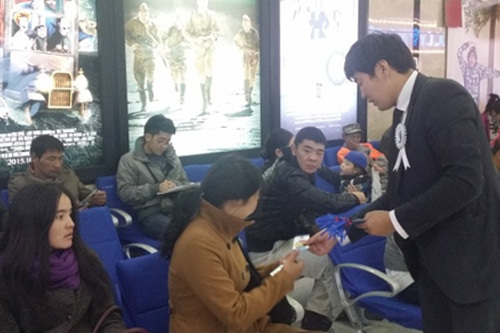 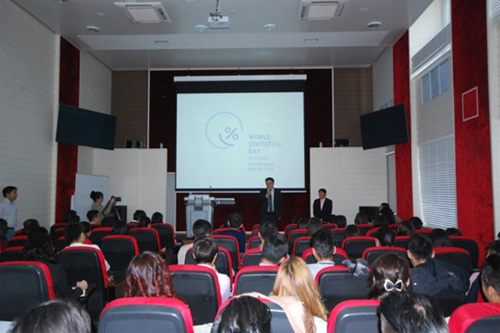 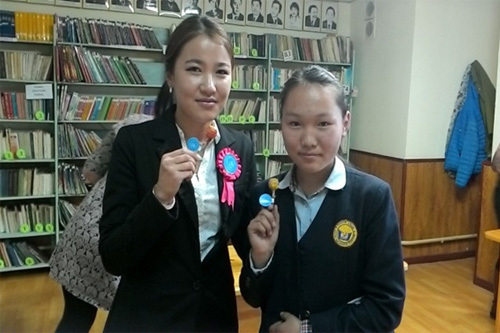 “Tasty Information”: lollipops with the logo for the World Statistics Day were distributed to the pupils in the secondary schools and children at the Book Centre in the aimag in order to publicize the World Statistics Day. 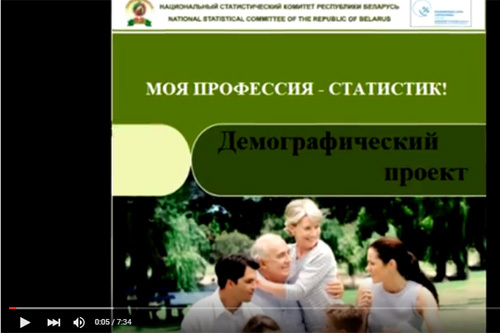 Belarus’ Central Statistical Bureau (Belstat) produced the following humorous promotional video about Demographic Statistics. 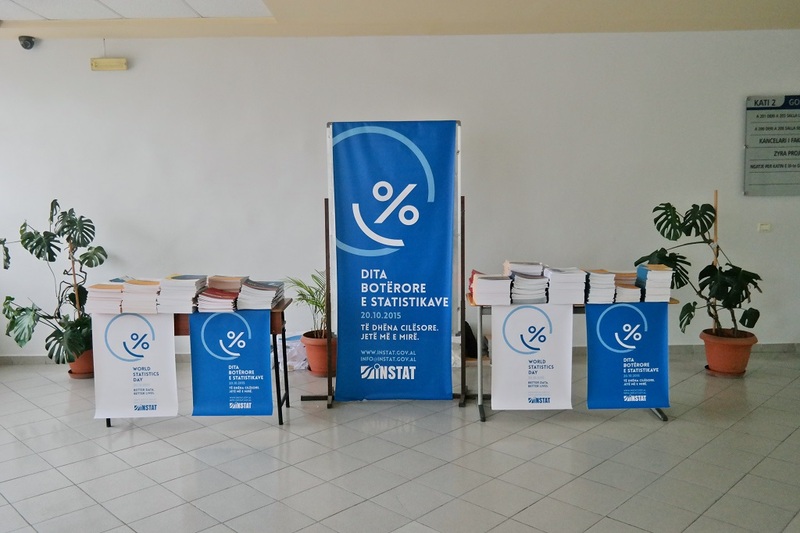 The Statistical Office of Grodno Oblast also created a video to promotes the importance of statistics and the profession of statistician. 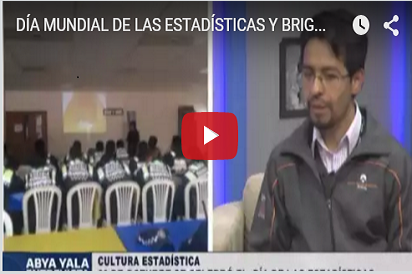 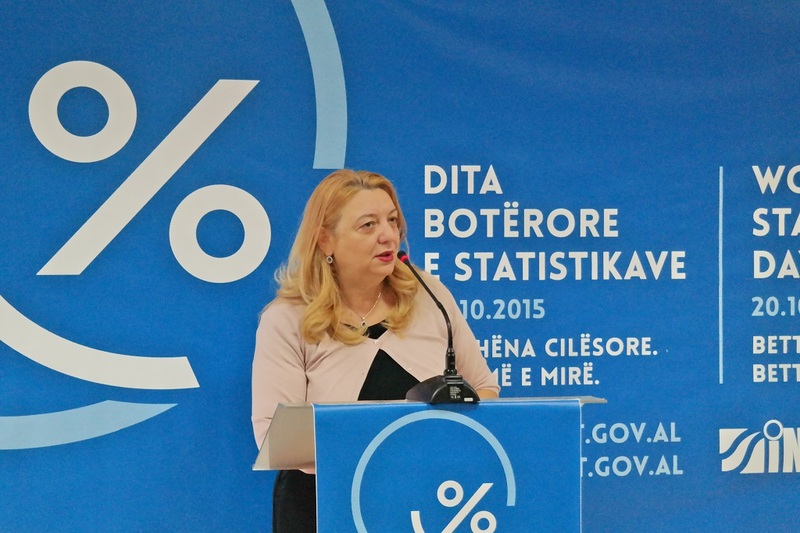 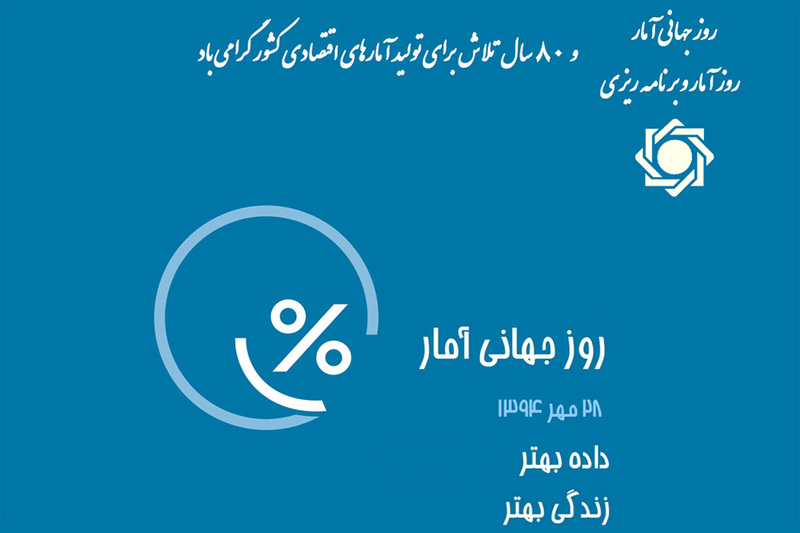 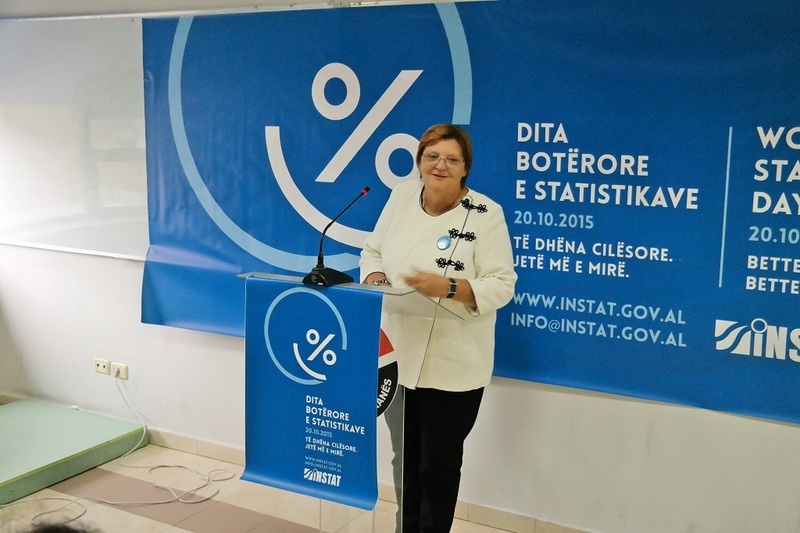 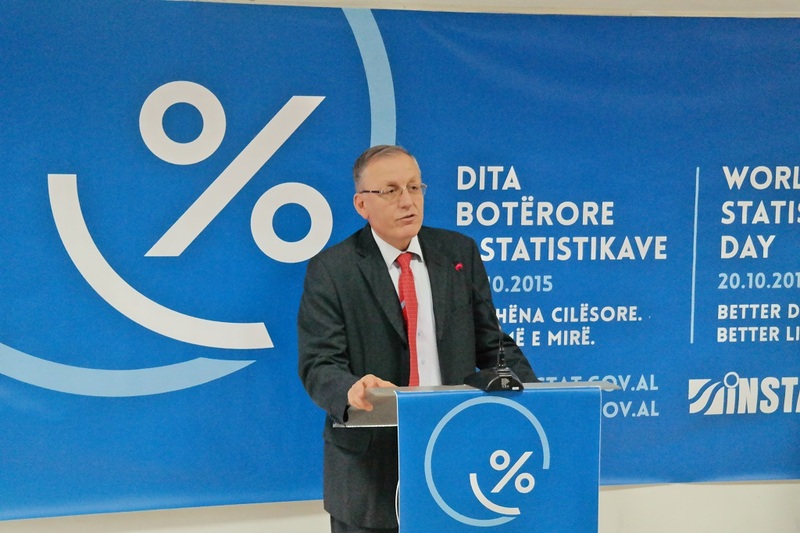 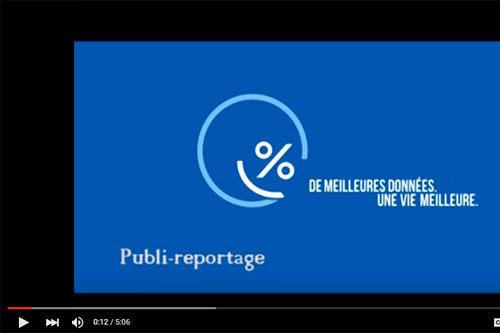 The Statistical Office for Brest, produced a video to promote the profession of a statistician in general and specifically the Brest Statistical Office by showcasing the results of their work as well as its importance.